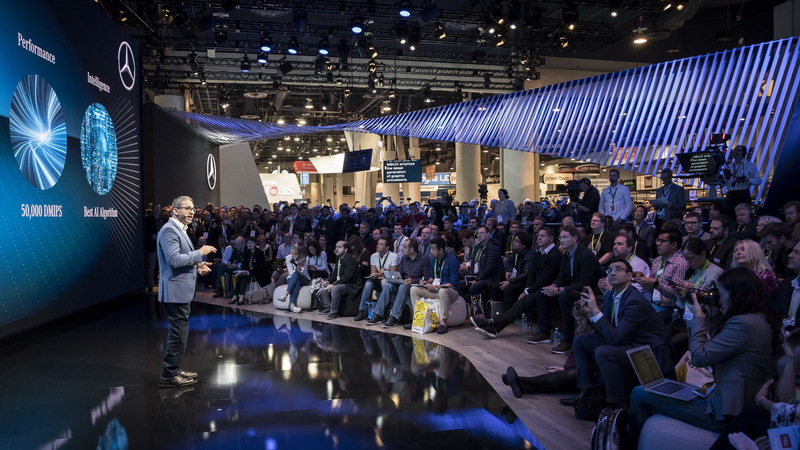 The upcoming Mercedes A-Class will be the company’s first model to use the innovative MBUX infotainment system, which was presented at this year’s CES in Las Vegas. 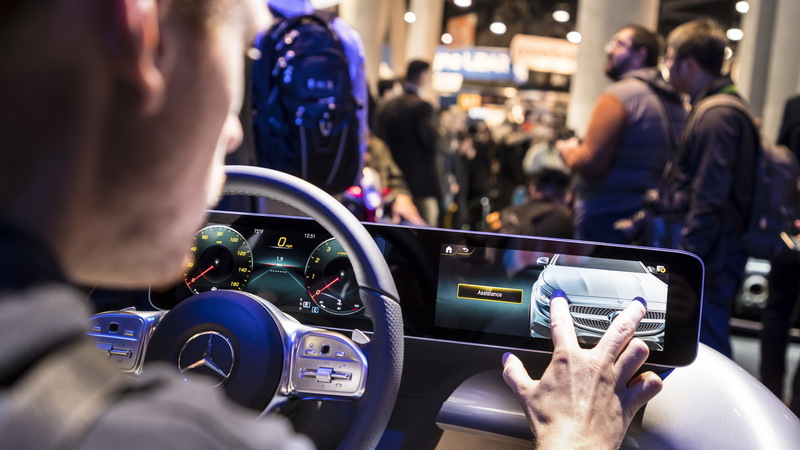 UX stands for user experience, with Mercedes claiming that their new infotainment system has the ability to learn thanks to artificial intelligence. 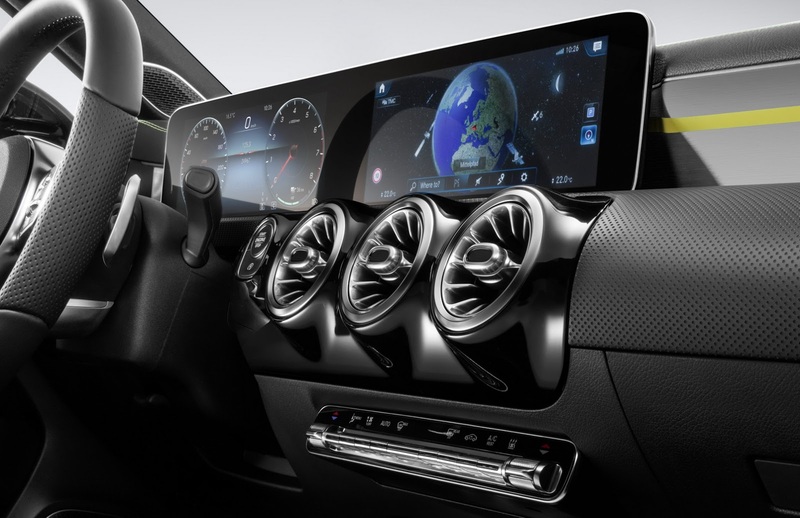 A-Class customers will be given the option of three different versions: the basic version with dual 7-inch displays, a mid-level system with one 7-inch and one 10.25-inch screen and a range-topping dual 10.25-inch display system, offering a resolution of up to 1920×720 pixels (200 dpi). 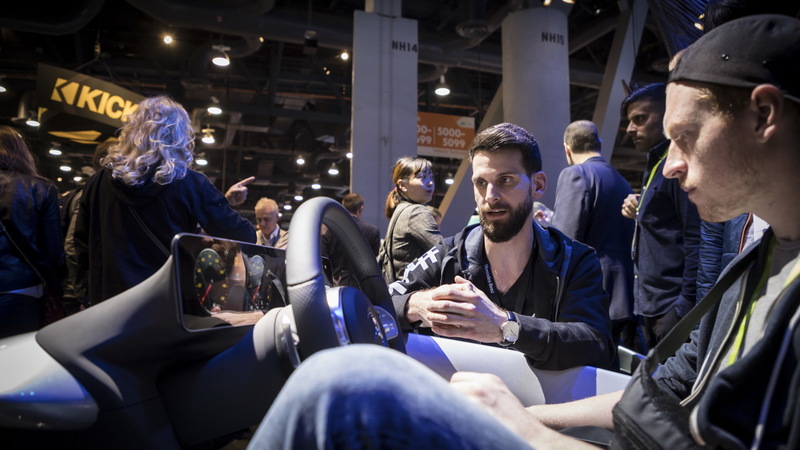 Everything is controlled either via touch or intelligent voice control, with the system utilizing a touchscreen, touch-control buttons on the steering wheel and a new touchpad on the center console with haptic feedback. 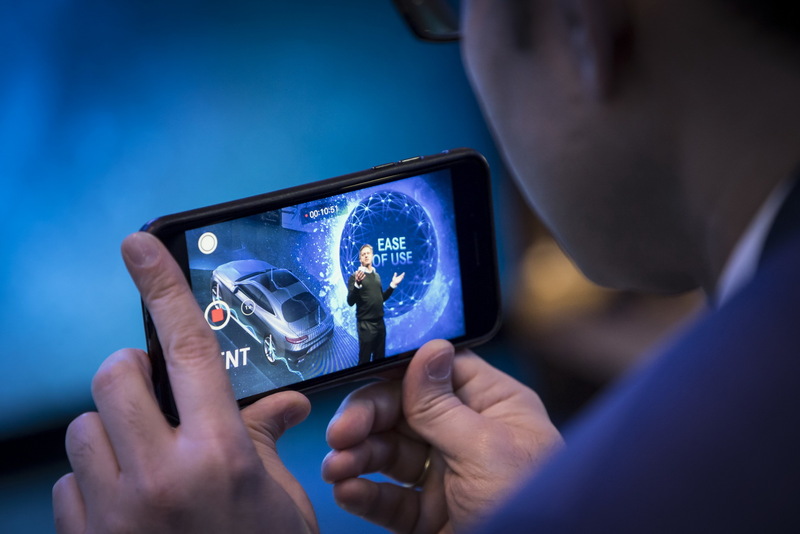 Connectivity options include everything from Apple CarPlay to Google Android Auto and even Baidu CarLife for cars sold in China. There are two classic USB ports and one USB Type-C for faster charging. 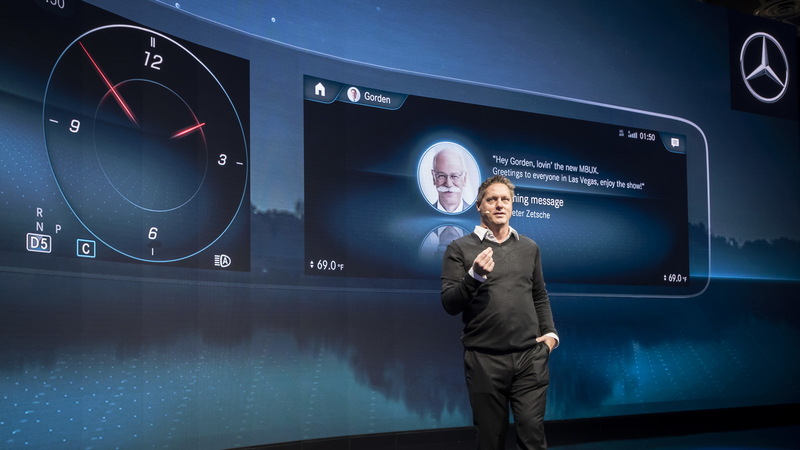 Mercedes says that the voice control works with natural speech recognition and is activated by simply saying “Hey Mercedes”. The language assistant’s ability to identify indirect speech means that the user can say things like “I am cold” instead of the clear command “Temperature to 24 degrees” in order to operate the climate control. 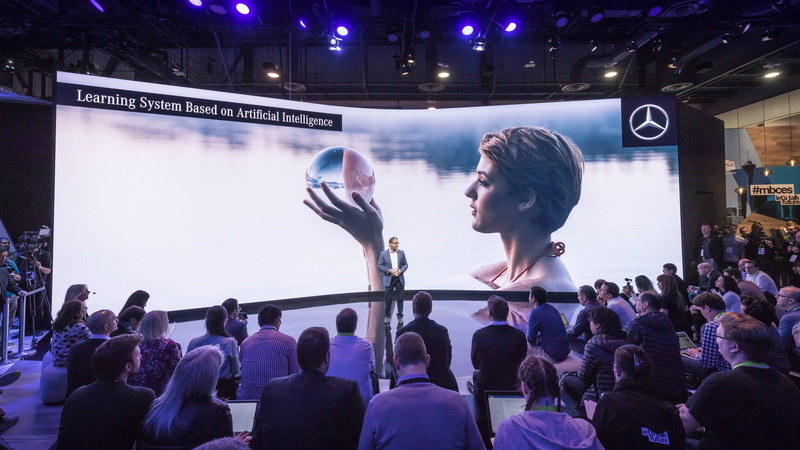 “New technologies must focus on the people using them and make their life simpler. 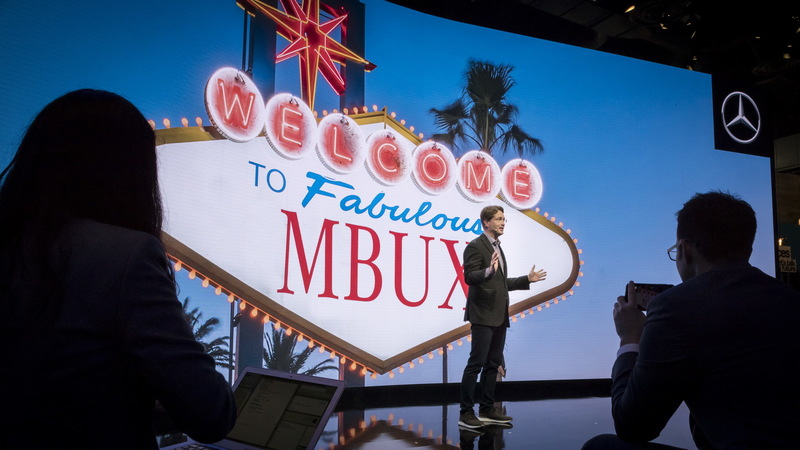 That’s why we combine intuitive and natural operation with intelligent and learning software in MBUX”, says Ola Källenius, Member of the Board of Management of Daimler AG responsible for Group Research and Mercedes-Benz Cars Development. 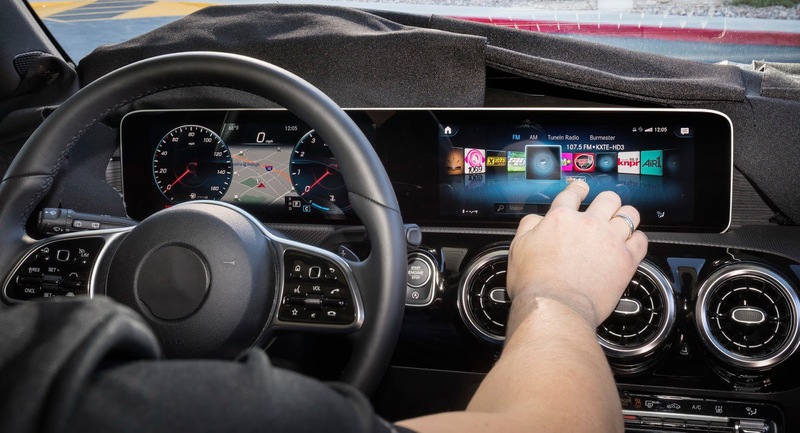 The new infotainment system will also debut the latest Mercedes me connected services which will offer services like sending a message when the parked vehicle is damaged or moved, a virtual key on the smartphone that works via NFC and geographical vehicle monitoring to notify the owner if the car is being driven on routes not permitted, among other. 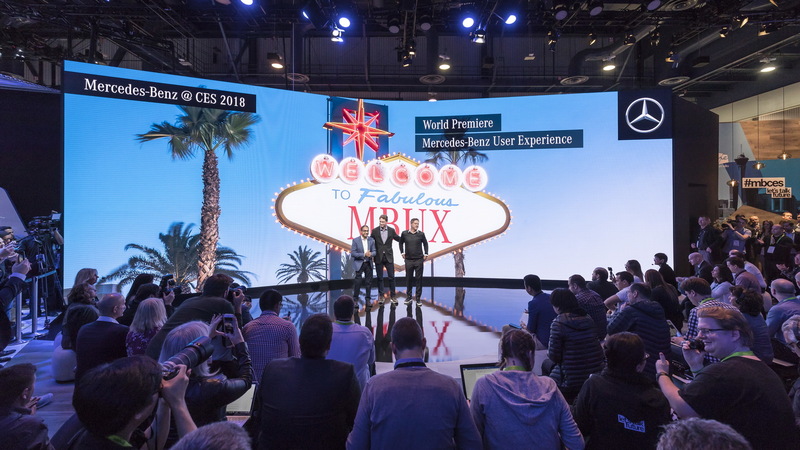 As for the hardware, the new MBUX system packs 8GB of RAM memory, a six-core CPU and two different graphics chips from NVIDIA, depending on which version of the system you go for. 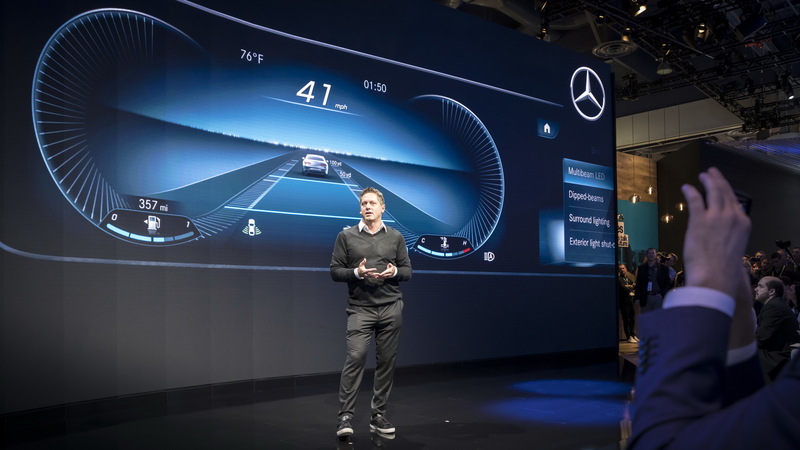 Mercedes’ new MBUX infotainment uses the Linux operating system. 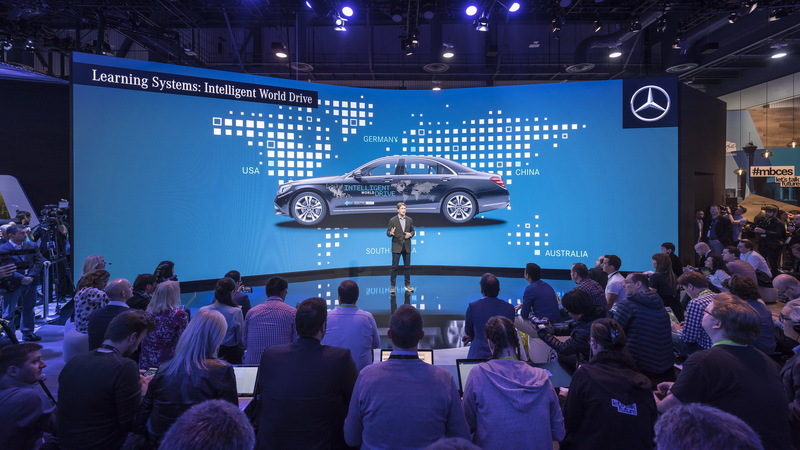 Mercedes says that their new infotainment system will equip its compact model range, at least initially. 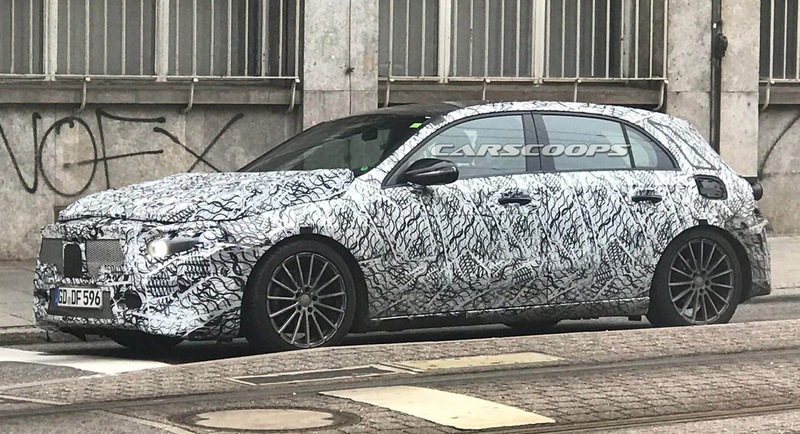 If the third-gen CLS is any indication, Mercedes-Benz is in the midst of a design language shift, and the 2019 A-Class will probably adopt many of the new elements. 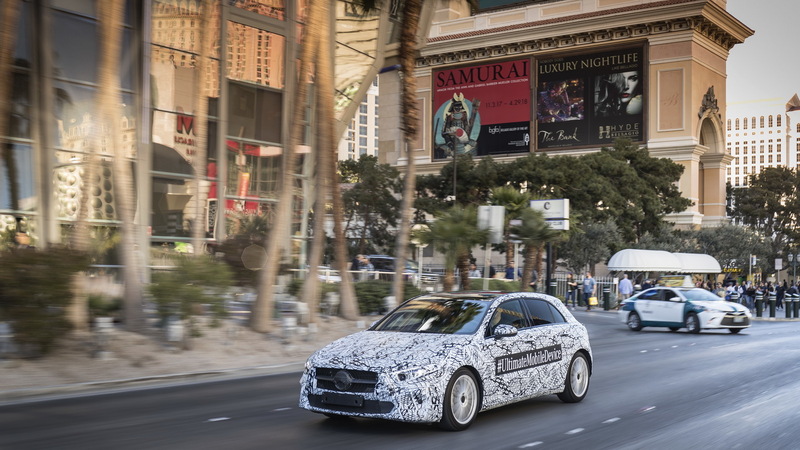 As soon as Mercedes started shedding some of the camouflage on their A-Class prototypes, we recognized the Concept A Sedan features, from the sharp, downward angled LED headlights to the horizontal, teardrop-shaped taillights. There’s also a little bit of the Concept EQA in the new A-Class, but the similarities are very subtle – mostly the shape of the headlights and the overall compact dimensions. 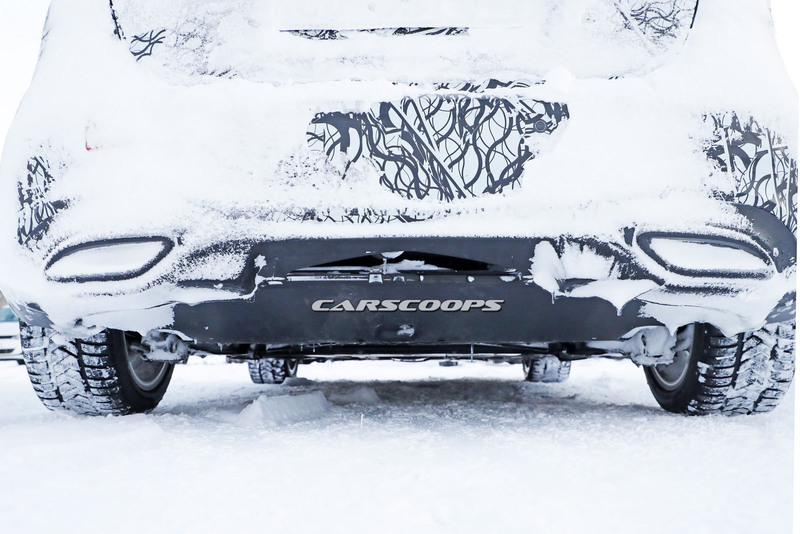 Just recently, the Stuttgart-based automaker released a teaser video showing the 2019 A-Class undergoing cold weather tests, providing us with a genuinely good look at the taillight graphics. 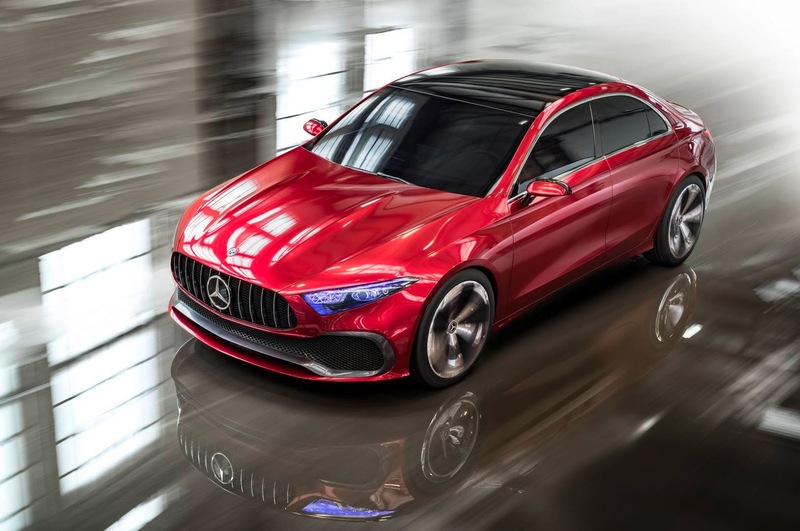 Now, thanks to Japanese website Response, we can see how all these features come together in what is undoubtedly the best all-new A-Class render we’ve seen so far, and it certainly seems like Mercedes is again aiming to make a stylish premium compact hatchback. 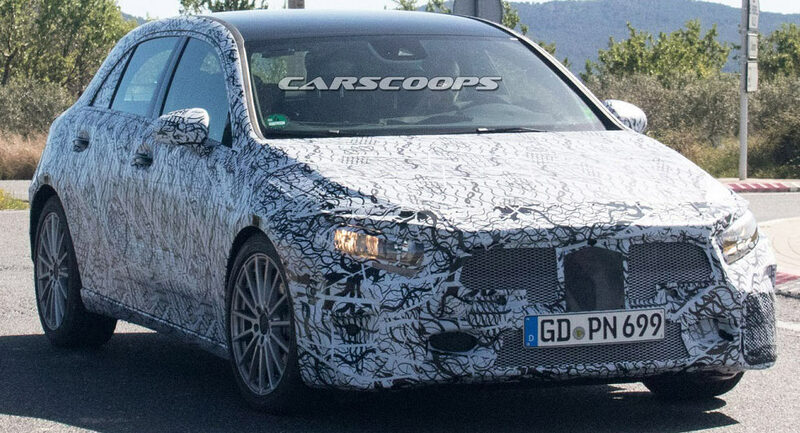 Mercedes is working on a new A-Class. 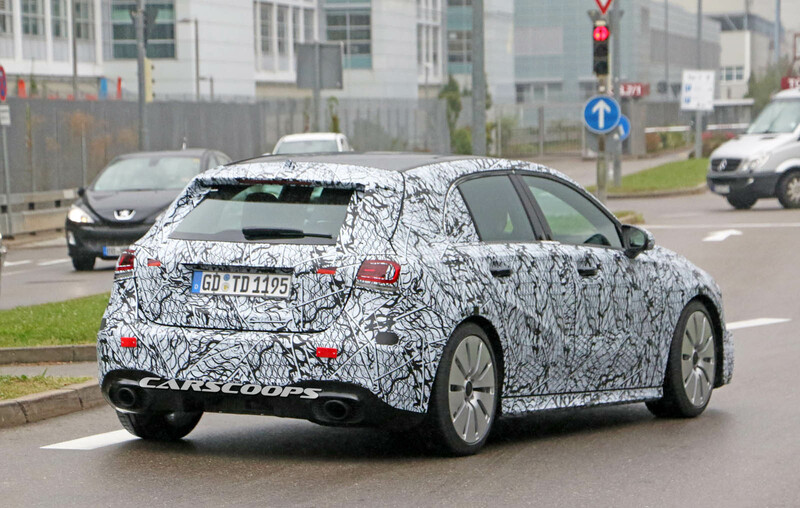 And you know what that means, hot hatch fans: that’s right, a new AMG version as well. But there won’t be just one – there’ll be two. 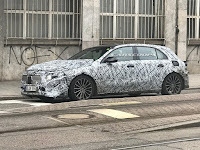 While the new A45 will go up against the Audi RS3, there’ll be an A35 version as well – spotted here while undergoing testing at the company’s headquarters in Sindelfingen, Germany – to target the S3. 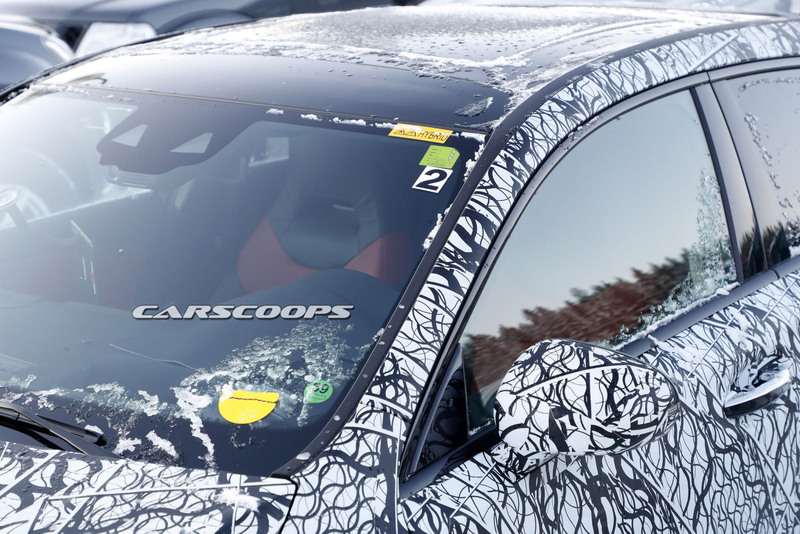 That much we already know, but the latest word has it that the “warm hatch” will get a mild hybrid powertrain – expected to be the 2.0-liter turbo four we’ve already seen in the new E350 coupe and cabrio. The engine features a 48-volt EQ Boost system that bridges the gap between what we think of as conventional and hybrid powertrains. In the aforementioned E-Class models, it produces nearly 300 horsepower and almost as much torque. We’d expect about the same in the A35, putting it in good company alongside the Audi S3 with its 292 hp (compared to the RS3’s 400) and the 335-hp BMW M240i (slotting in under the M2’s 365). 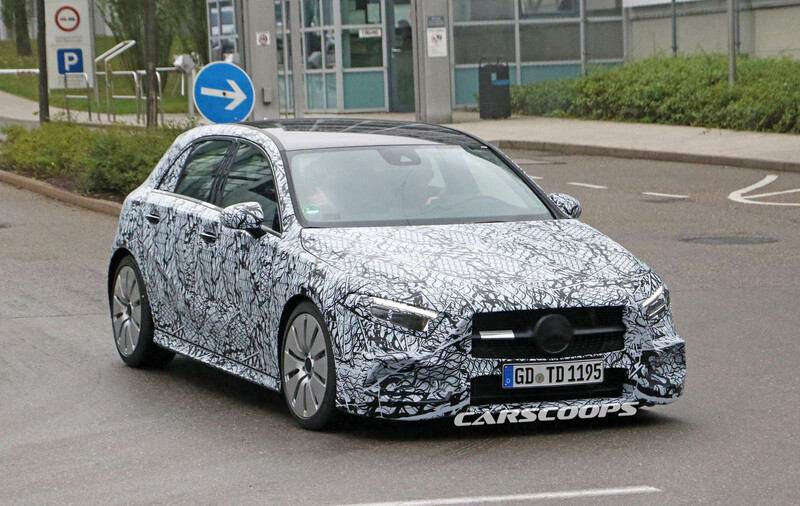 There’s a sedan version of the new A-Class slated to reach the United States, which could see similar specifications as well. 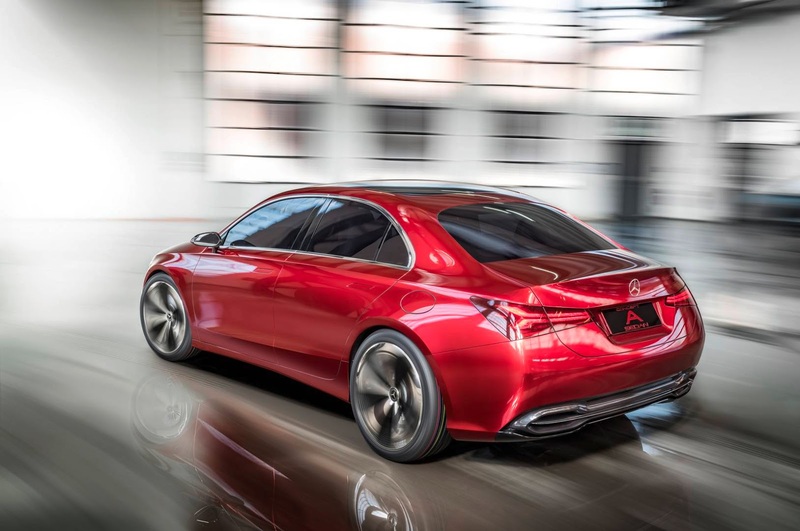 It took Mercedes-Benz over four years to come up with a new generation A-Class, which will debut in full at the 2018 Geneva Motor Show. 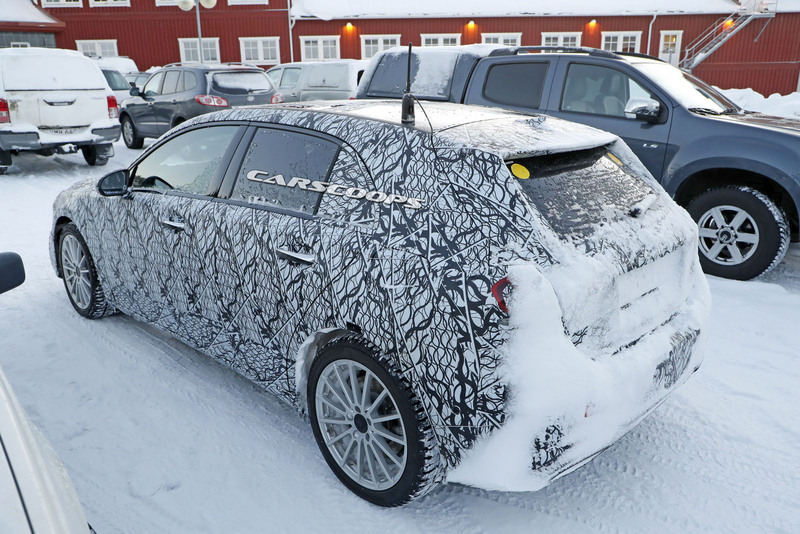 However, until we see it in full, the Germans have started the teasing game, with the latest video showing a prototype of the premium small hatchback completing what the company calls “its last extensive test drives in wintry Sweden”. 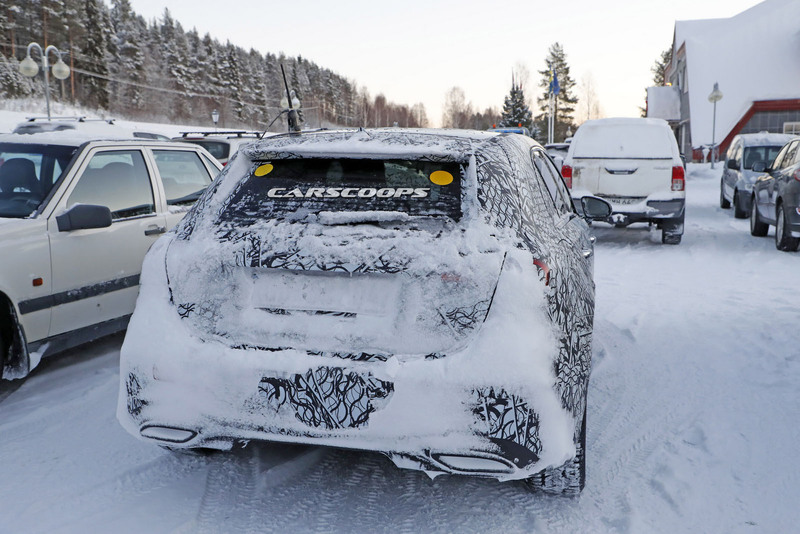 In between facing blizzards and pushing its tail out every now and then, the 2019 Mercedes-Benz A-Class was also taken to the climate tunnel, where it had to face extreme temperatures, before being treated to a proper wash.
Mercedes-Benz previews the cabin of the car for a few seconds, but we already know what it will look like, from previous scoops and teasers, with the dashboard dominated by a modern dual-screen layout, available in different sizes, depending on the selected model. Finally, the German automaker promises “new engines” in the video’s description, and it’s expected to benefit from as many as 7 gasoline and 4 diesel units, including the 1.3-liter powertrain co-developed with the Renault-Nissan-Mitsubishi Alliance, and the French brand’s 1.5-liter dCi diesel. And that’s not all, because the new generation AMG A45 will sit at the top of the range, above the AMG A35, with at least 400hp. 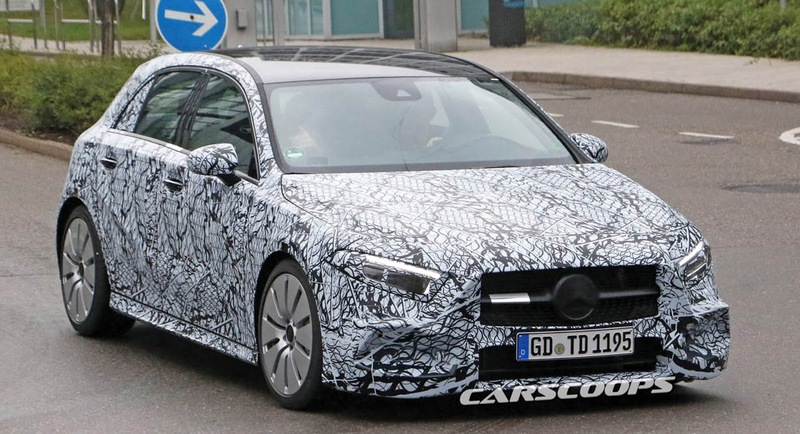 More importantly, Mercedes-Benz is also believed to launch plug-in hybrid and electric versions of the 2019 A-Class. 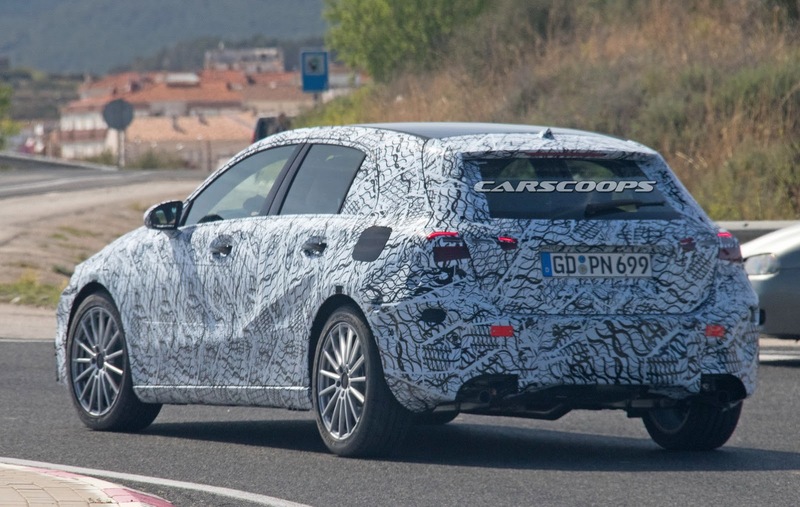 More technical details are starting to emerge on the next generation Mercedes-Benz A-Class, prior to its public premiere scheduled for the 2018 Geneva Motor Show. 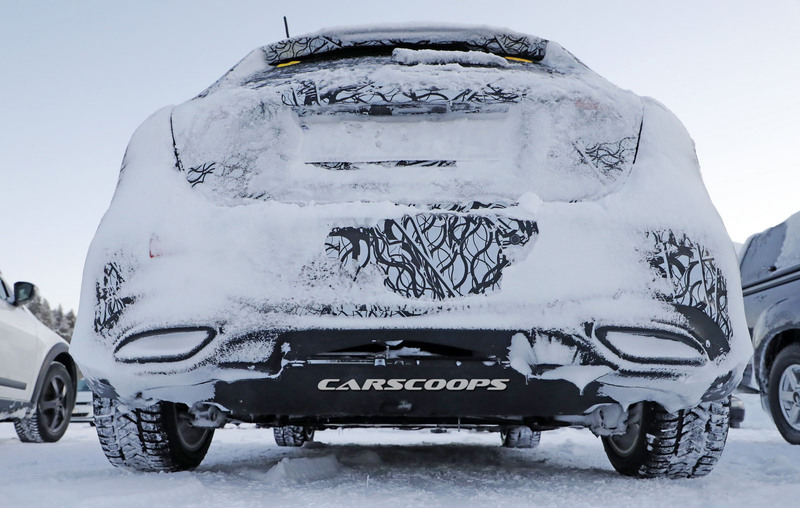 By catching a shotgun ride in a prototype in northern Sweden, and chatting with the brand’s chief of compact vehicle testing, Jochen Eck, Autocar has learned that the upcoming hatchback will be offered with a choice of 9 powertrains in total. 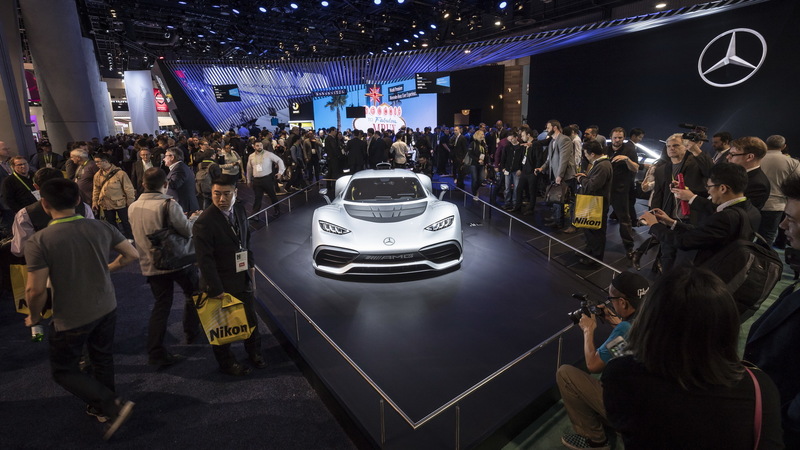 These include the newly developed 1.3-liter gasoline unit that can already be found on the Renault Scenic and Grand Scenic, and another lump that’s commonly present on various cars made by the French company: the 1.5-liter dCi diesel, in the A160d model. 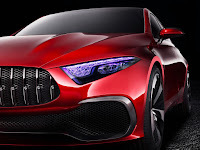 The list also counts two performance versions of the 2019 Mercedes-Benz A-Class, dubbed AMG A35 and AMG A45, with the former believed to use a 2.0-liter turbo’d mill rated at some 340hp, whereas the latter will allegedly churn out in excess of 400hp. 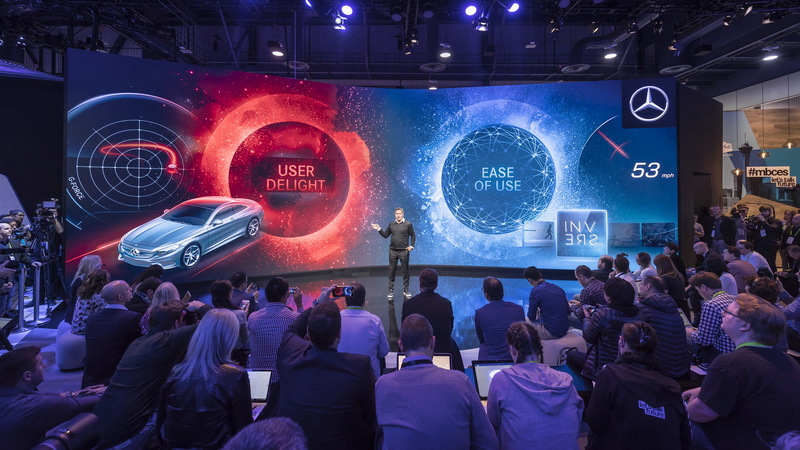 Additionally, plug-in hybrid and electric versions of the car are also expected to arrive. 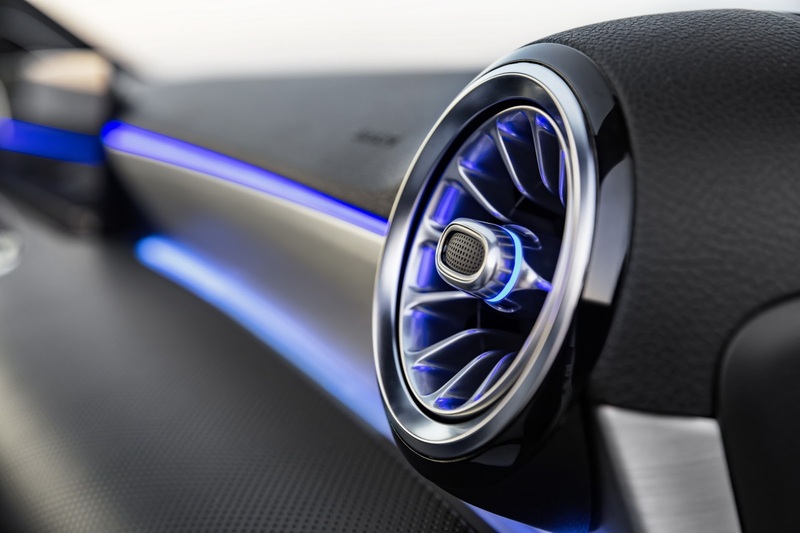 Beyond the new powertrains, the next generation models also benefit from additional sound deadening foam in the body structure to help reduce the noise and vibration levels, and it will also get two suspension sets, depending on the chosen variant. Lesser models will come with a new torsion beam setup, while more powerful ones will feature an updated multi-link that debuted on the current A-Class. Elsewhere, engineers and designers have improved visibility by making the pillars thinner and rear side windows larger, and the car also gets an additional 30mm (1.18in) added to the wheelbase length. 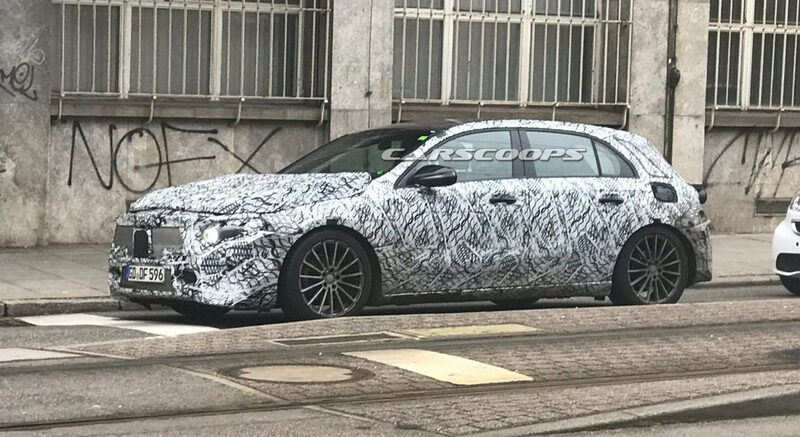 Mercedes-Benz could actually unveil the next-gen A-Class earlier than the Geneva Show next March, but nevertheless, the event is where the new compact model will celebrate its public debut. The redesigned Mercedes A-Class has been caught in Stuttgart, Germany by CarScoops reader Vasilis. 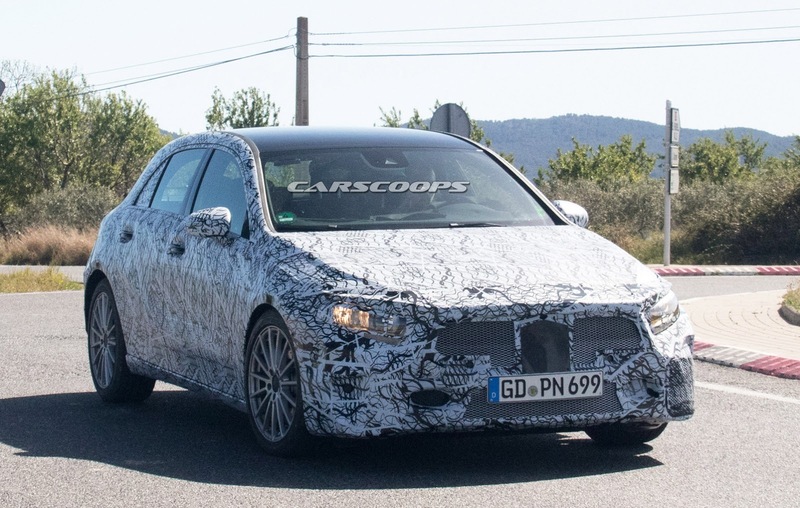 Expected to debut early next year at the Geneva Motor Show, the A-Class will have a familiar design but adopt a more aggressive front fascia with a single-bar grille that is flanked by angular headlights. The car is also larger than its predecessor and this will give the model a more spacious and airy cabin. 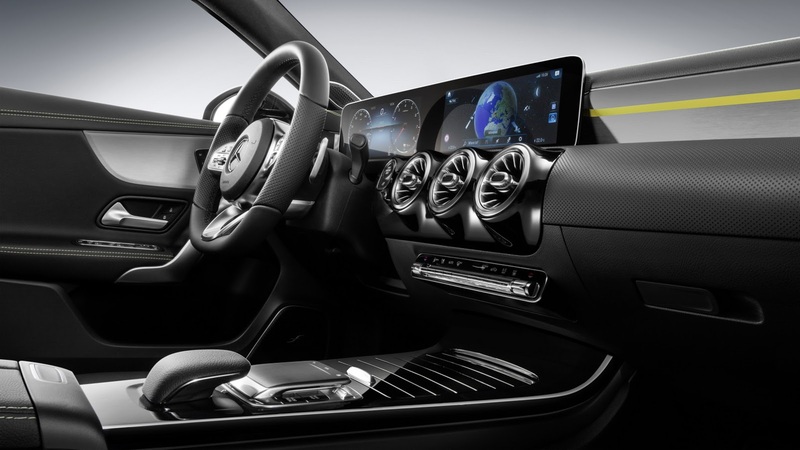 Mercedes has already released interior photos and they show the A-Class will have a significantly improved cockpit with higher quality materials and a more upscale design. 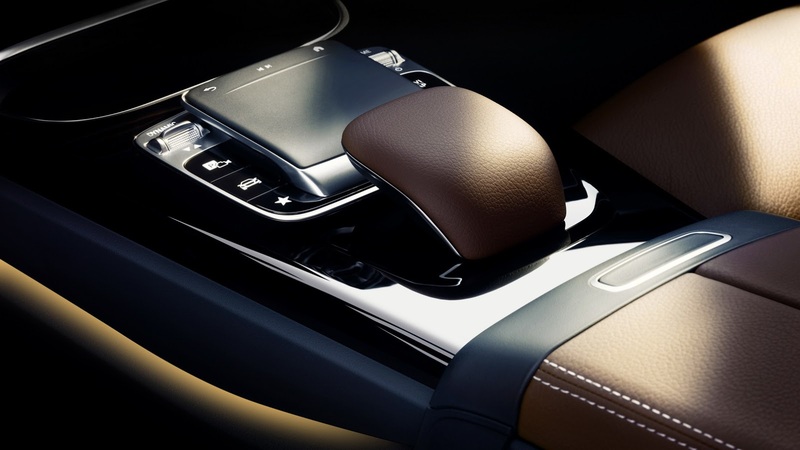 Notable highlights include a new multifunctional steering wheel, wraparound trim, and circular air vents. The model will also be offered with an ambient lighting system and heated / ventilated multicontour front seats with a massage function. The standard model will come with two 7-inch displays, while higher end variants feature a 7- and 10.25-inch display or two 10.25-inch displays. Owners can also expect a more accommodating interior with additional elbow, shoulder, and headroom. The boot has also grown as it can now hold 370 liters (13.0 cubic feet) of luggage. 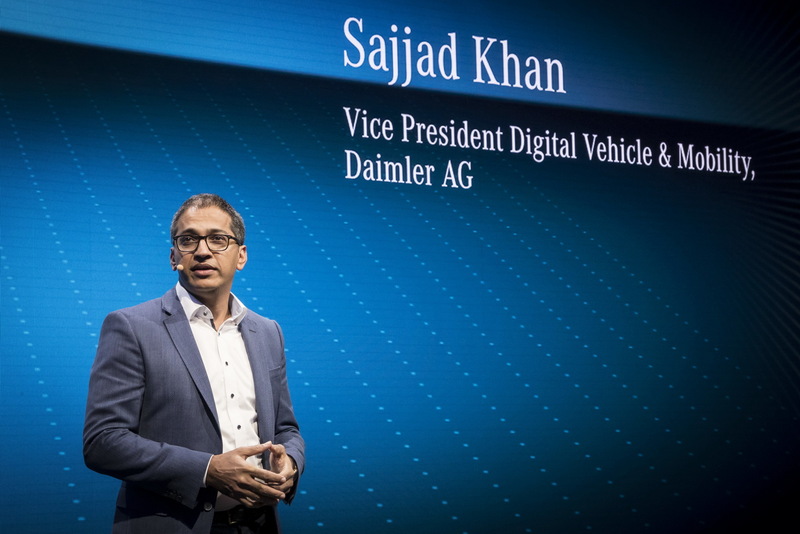 The model will ride on an updated version of the MFA platform and it will be offered with an assortment of different petrol and diesel engines. 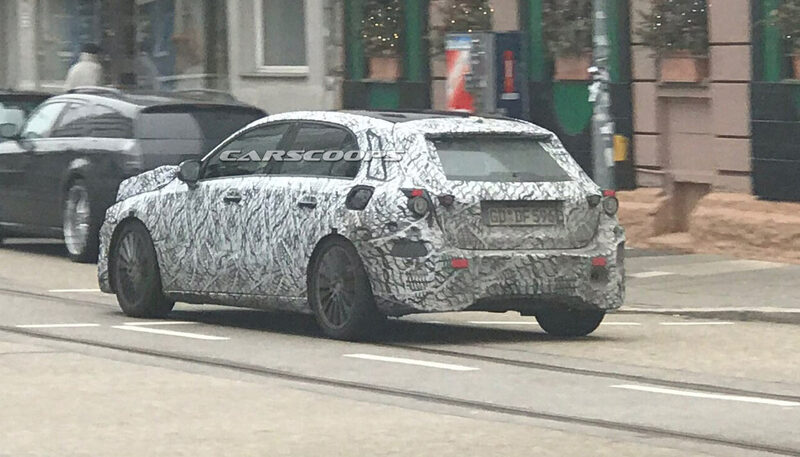 Mercedes AMG boss Tobias Moers has already confirmed plans for two performance models and the A35 is expected to have a turbocharged 2.0-liter four-cylinder engine that produces around 340 hp (253 kW). 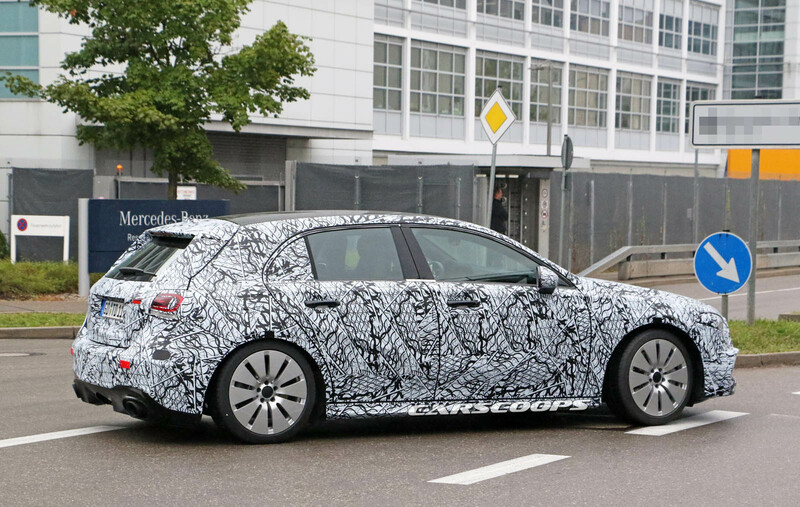 It will be joined by a new A45 which will reportedly develop more than 400 hp (298 kW). Thanks to Vasilis for the pictures! 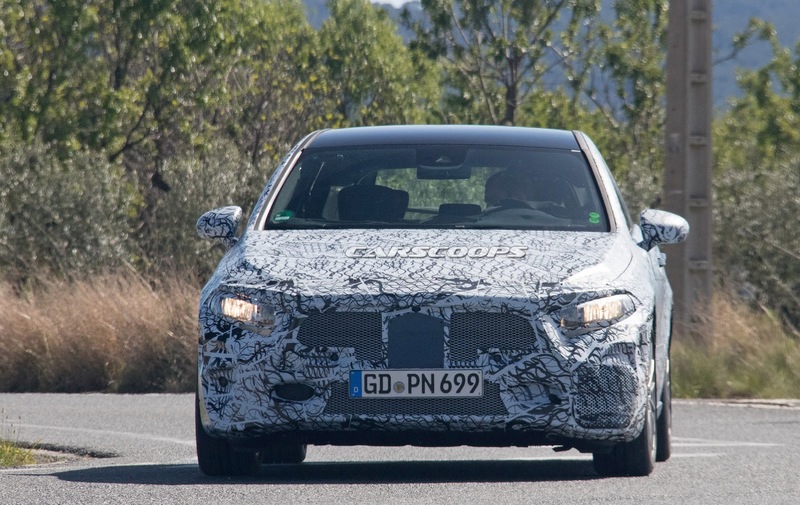 It’s already known that Mercedes is planning to offer both a plug-in hybrid and an all-electric version of the new A-Class and this is our first look on what seems to be the former. 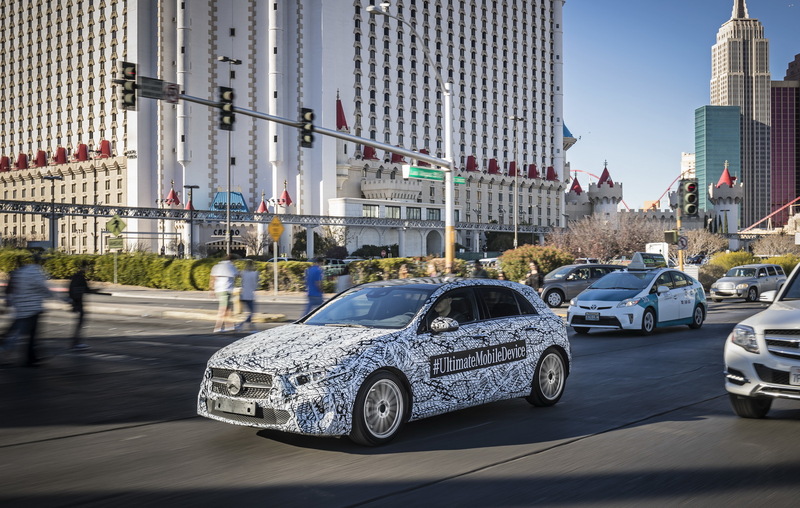 At first glance, the prototype looks just like another A-Class test car but there are small details that betray its electrified nature. Things like the “Hybrid” sticker on the windshield are the biggest telltale sign but once you look closely, you’ll find two fuel caps, one on each side, and of course there’s the big warning sign that says “High Voltage” thrown at the rear seat. 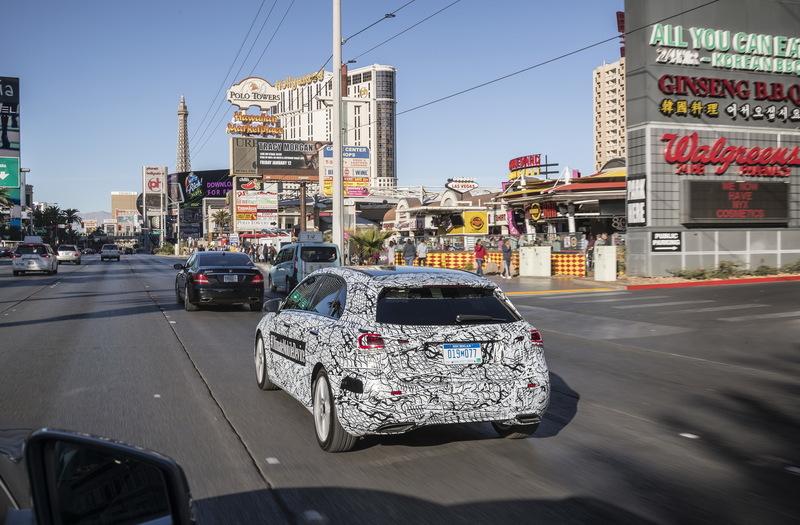 Our spies even looked under the rear of the car to see if they can spot the exhaust and they couldn’t, which raised some questions whether this was a plug-in hybrid or a full electric car. We’re still leaning to the former however, mostly because of the two fuel caps. 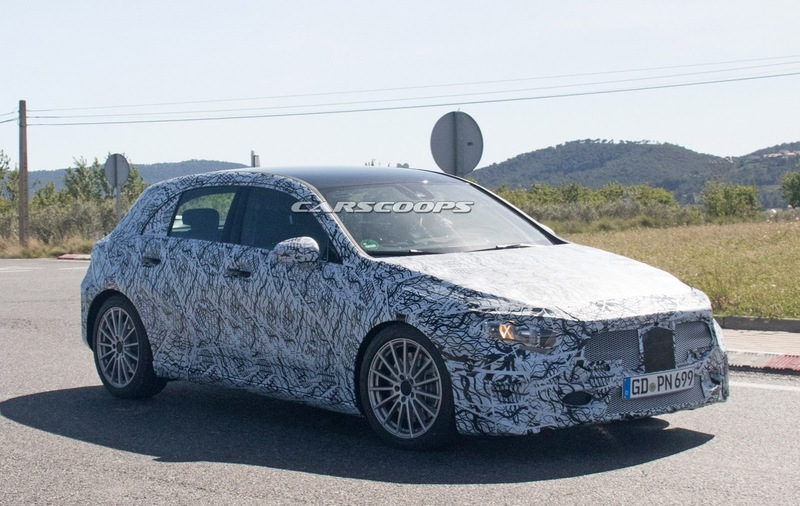 The new generation of the A-Class will adopt a 48-volt electrical architecture and the plug-in hybrid version will most likely offer a 31-mile (50km) all-electric range as teased by the official interior images Mercedes released a couple of weeks ago. 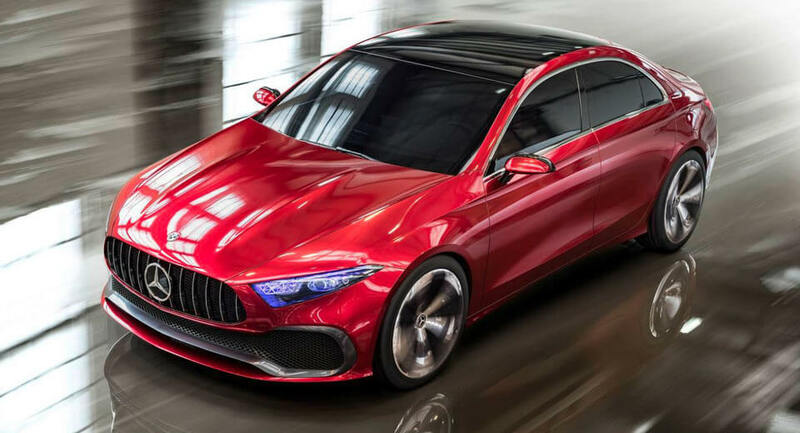 We also know that Mercedes is planning on using the new turbocharged 1.3-liter petrol engine that was co-developed with Renault-Nissan in the A-Class. 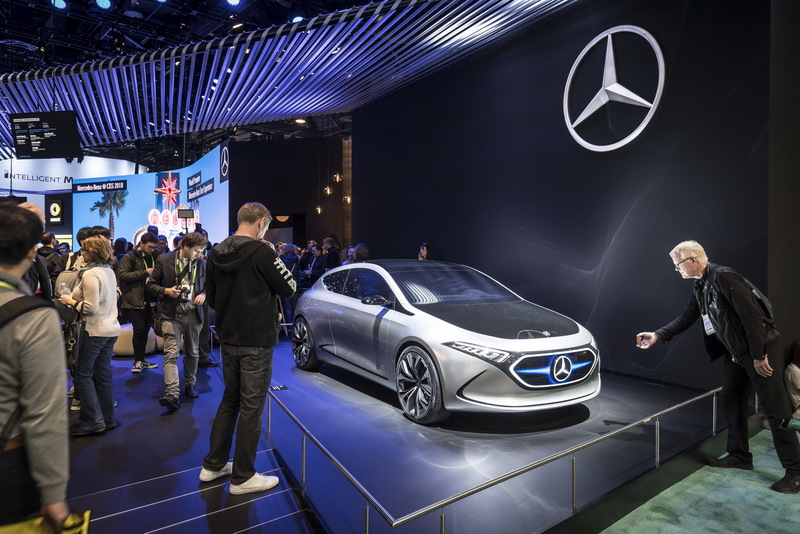 Mercedes will pull the wraps off the brand-new A-Class at the Geneva Motor Show in March, with the US-bound A-Class sedan to follow shortly after. 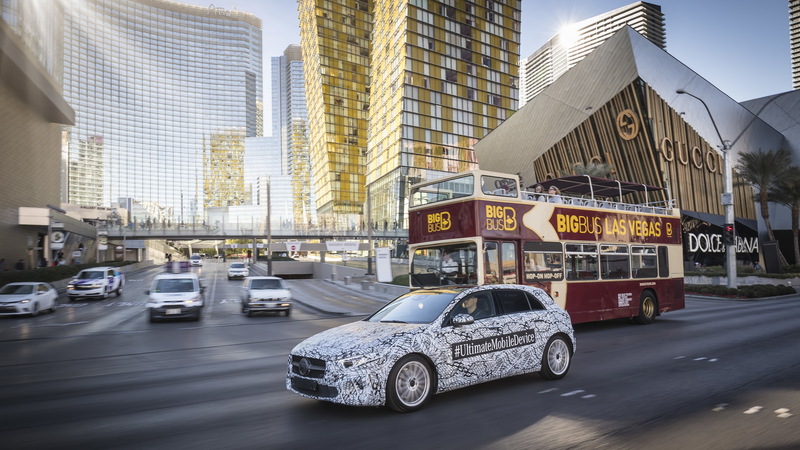 Daimler and the Renault-Nissan-Mitsubishi Alliance co-developed a new 1.3-liter petrol engine that recently debuted on the Scenic and Grand Scenic. 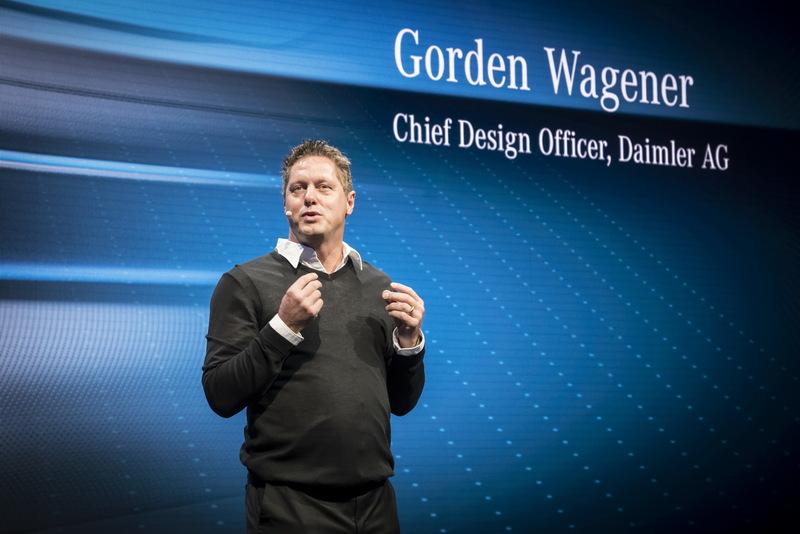 However, the powertrain will eventually be expanded to various cars within the Alliance, and it will also be used on several front-wheel drive models coming from Mercedes-Benz, reports AutoNews. 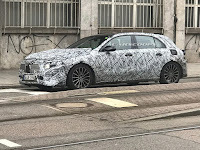 A Daimler spokesperson confirmed that the next generation A-Class is among the vehicles that will put the 1.3-liter lump to use, and different variations of the unit will be offered in the B-Class, GLA, and GLC as well, but no details surrounding the outputs or where it will be put together have been released so far. However, the small petrol unit is offered on the French minivans in a choice of three power levels, starting with the TCe 115PS (113hp) and TCe 140PS (138hp), and ending with the TCe 160PS (158hp). 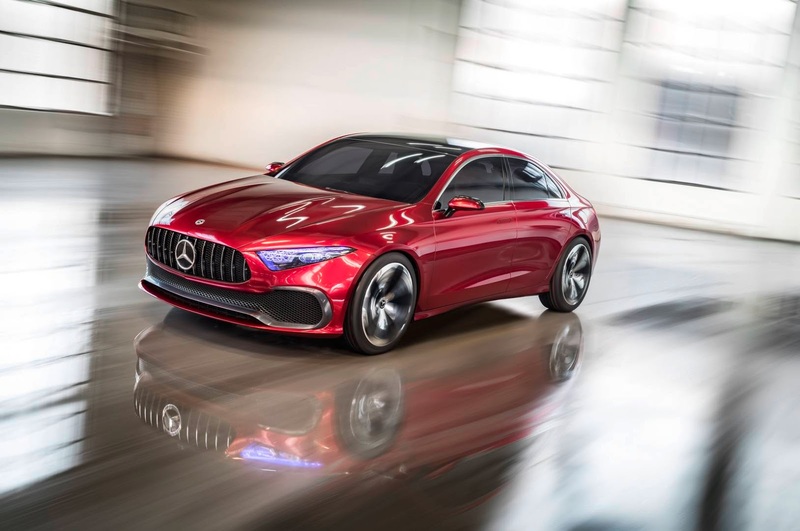 The first one comes exclusively with a manual gearbox, whereas the mid-range can be had with an EDC dual-clutch automatic as well, and the latter is offered solely with an automatic transmission, so we won’t be surprised if Merc’s models will follow a similar route. 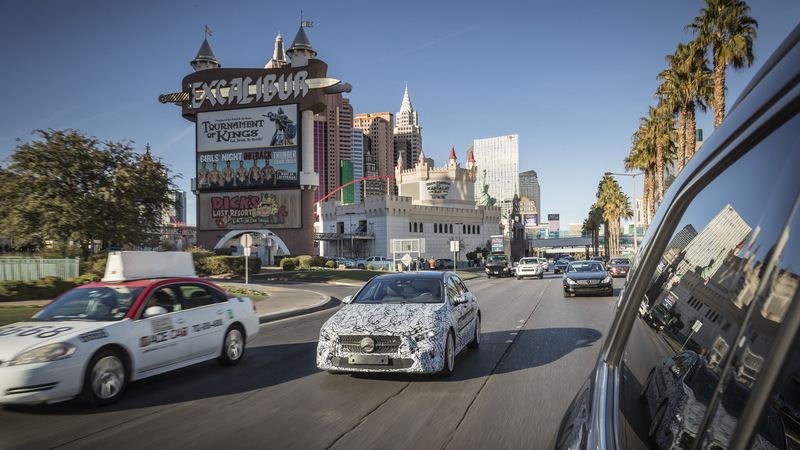 Renault-Nissan and Daimler’s collaboration started 7 years ago, and so far it has seen the French brand’s 1.5-liter dCi diesel engines being used in the entry-level A-Class, B-Class, and GLA. 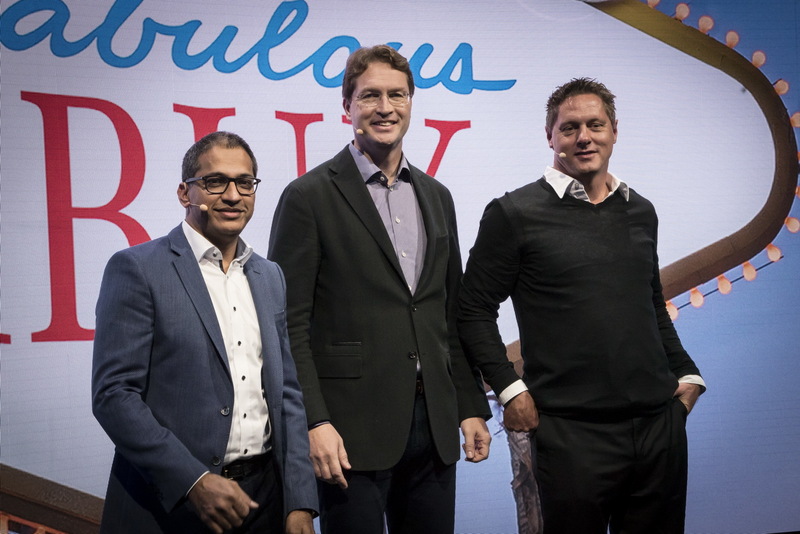 Moreover, the 1.6-liter petrol unit developed by Renault is also used in the C-Class, and the Renault Kangoo has been rebadged by Mercedes and sold as the controversial Citan. 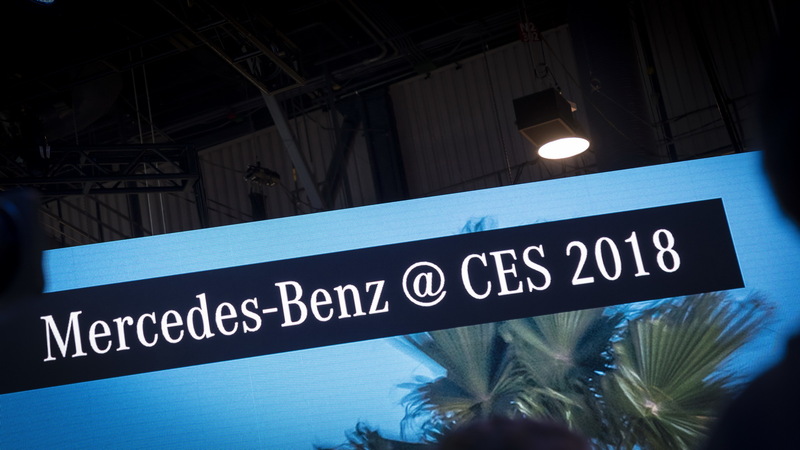 Mercedes-Benz has confirmed that the upcoming A-Class Sedan will make it to the United States and attract younger customers to the brand. 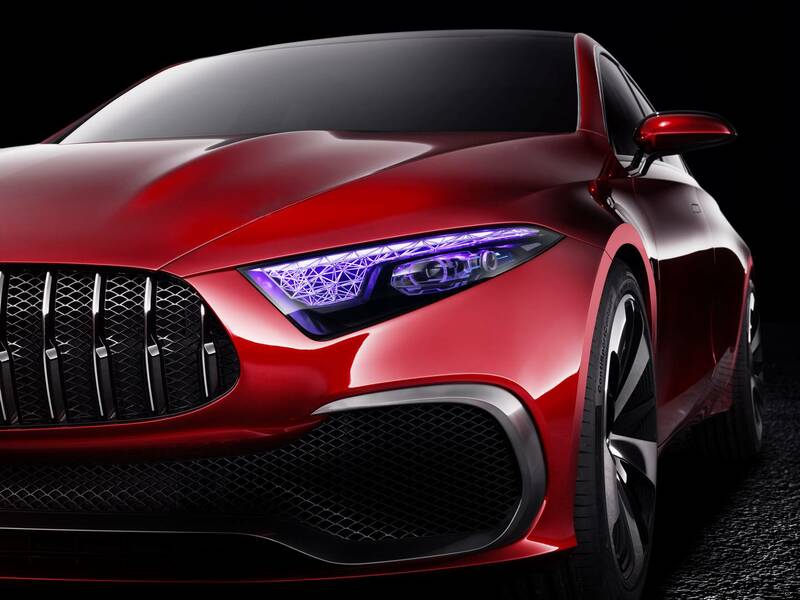 Previewed earlier this year by the Concept A Sedan, the vehicle will be sold alongside the hatchback in various markets throughout the world. 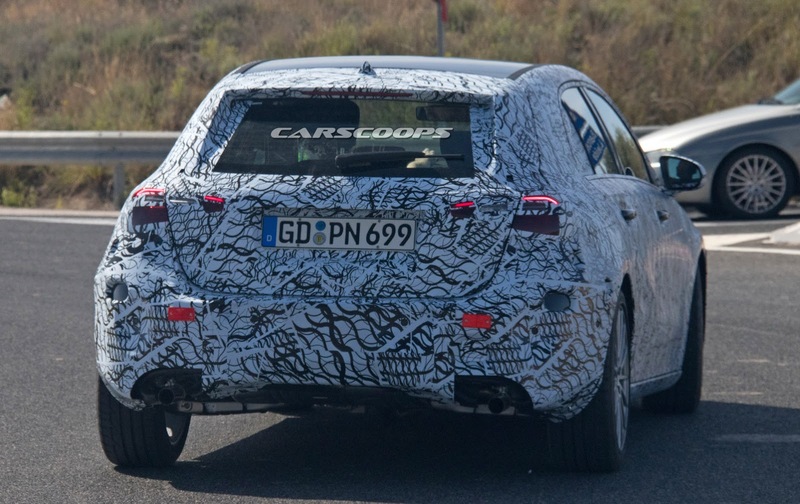 In the U.S., however, the A-Class Sedan will be the only body style on offer. 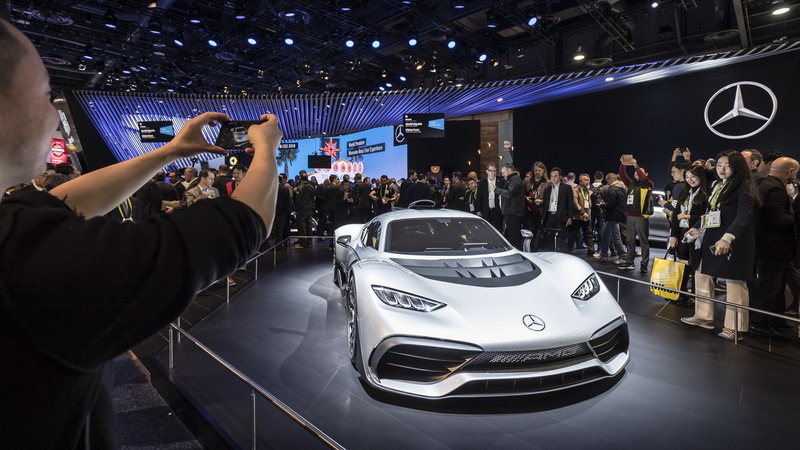 Speaking to Automotive News about the car, Mercedes-Benz global sales chief Britta Seeger said it should prove attractive to U.S. car buyers. “We truly believe that now with the body style we have the right answer for the market. 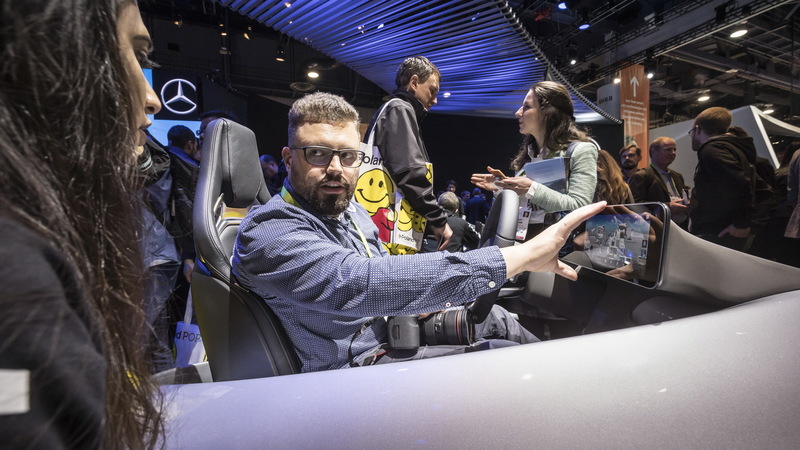 “It’s a very attractive car for younger people, but not only for younger people — it can have a broad audience because it’s a nice entrance into the Mercedes-Benz family,” Seeger said. 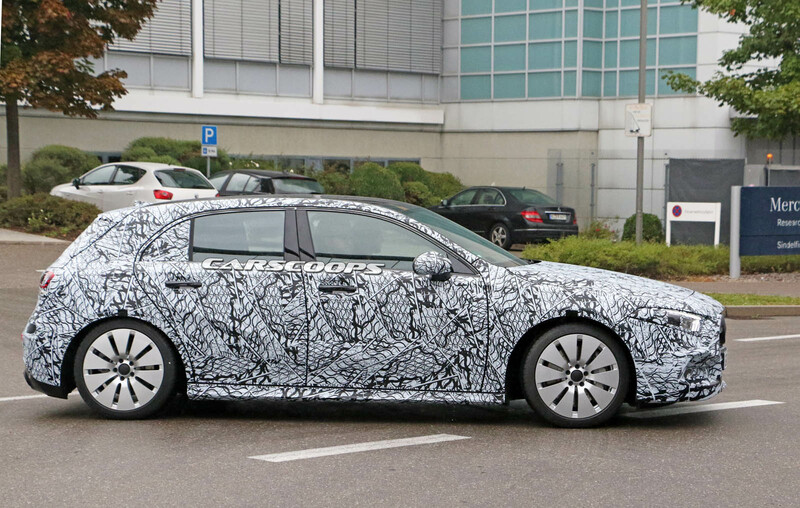 Sitting beneath the bodywork of the new A-Class Sedan will be an updated version of the MFA2 architecture. 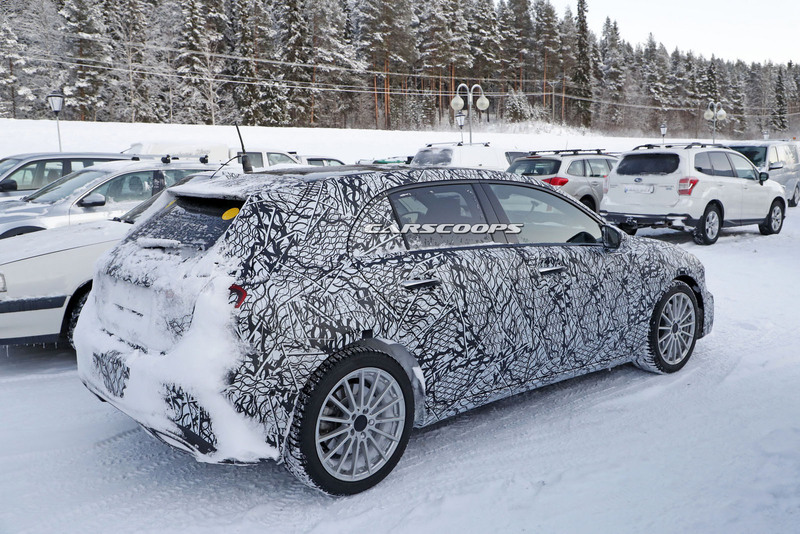 It remains to be seen what variants are bound for the U.S. market but an AMG A45 Sedan can be expected to top out the family. Mercedes-Benz is planning of offensive of compact cars, most of which will be unveiled next year, with the A-Class Sedan being one of them. 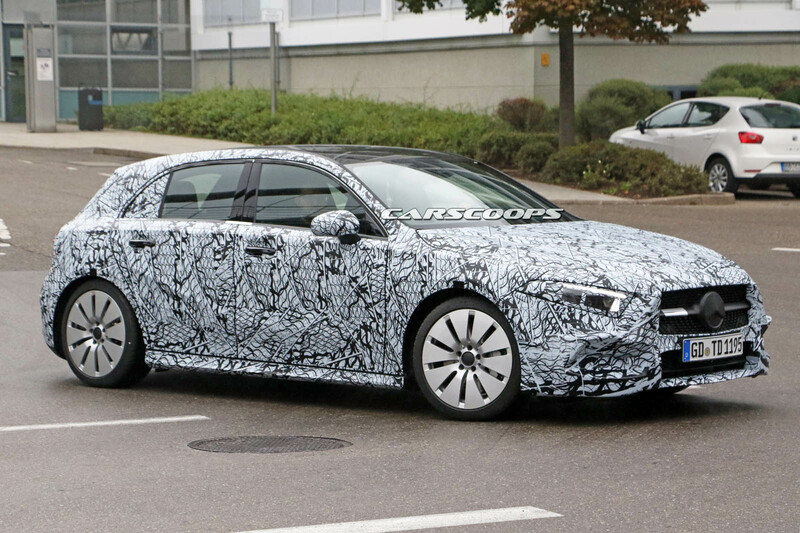 Previewed by the Concept A Sedan that debuted in Shanghai, earlier this year, it will basically be the four-door version of the next-gen A-Class hatch, and it’s coming to address the brand’s Audi A3 Sedan and China-only BMW 1-Series Sedan problems. 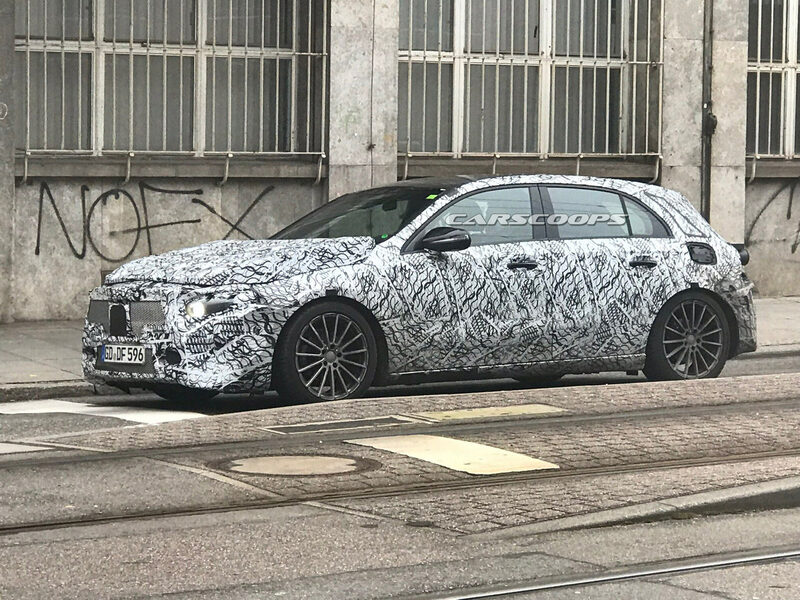 The car is currently in prototype form, but we can still see the clear Merc’ lines all around, even from beneath the camo, whereas the interior will be dominated by the brand’s new MBUX infotainment, which combines a dual-screen in a similar layout to the system that debuted on the new E-Class. 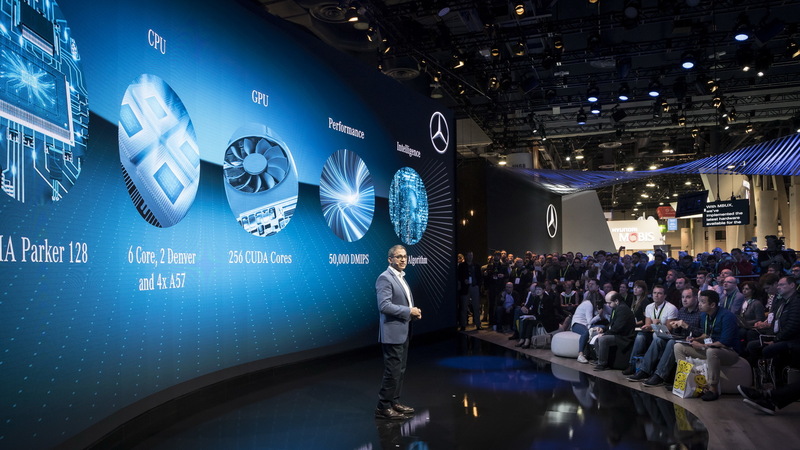 Sharing an updated MFA2 architecture with the rest of the compact family, including the A-Class, B-Class, CLA, GLA, and rumored GLB, will give it access to a variety of engines, although it’s not clear yet what units we should expect. 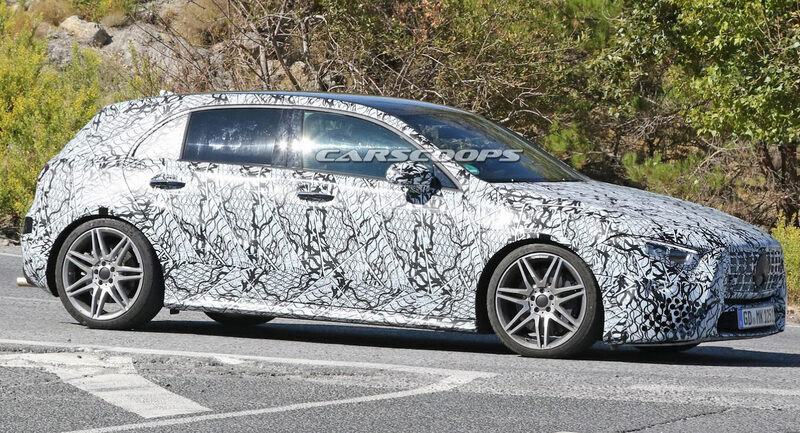 We’d wager that AMG 35/45 versions of the car won’t be available, as Mercedes will likely limit them to the A’ Sedan’s other four-door sibling, the CLA. 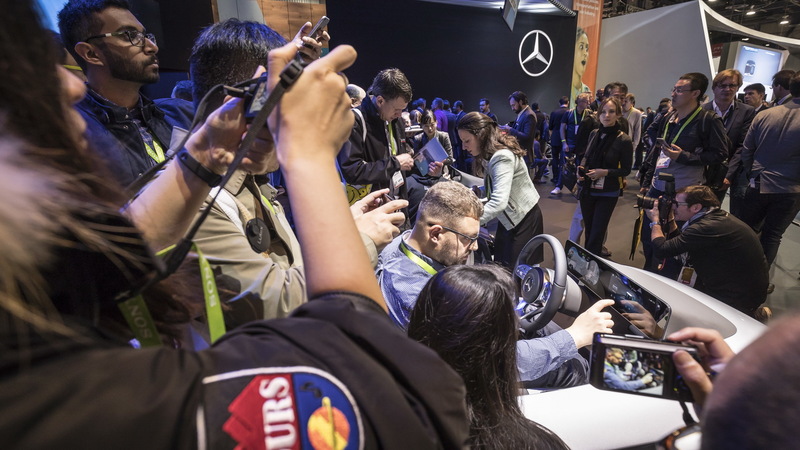 After sharing the first interior photos of the upcoming 2018 A-Class, Mercedes-Benz will give educate us on the car’s newly developed infotainment system on January 9, 2018, at the Consumer Electronics Show (CES) in Las Vegas. 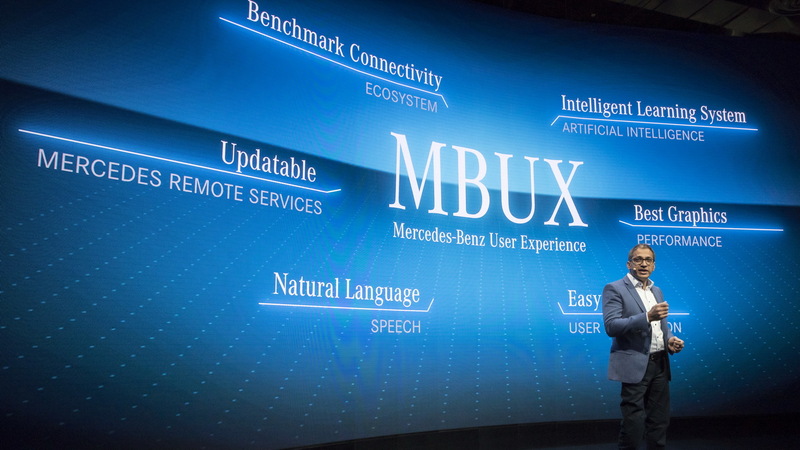 The new infotainment system is named “Mercedes-Benz User Experience”, or MBUX for short, and promises “to ensure a pioneering in-car experience” by being “introduced as standard equipment in the next compact car generation”. 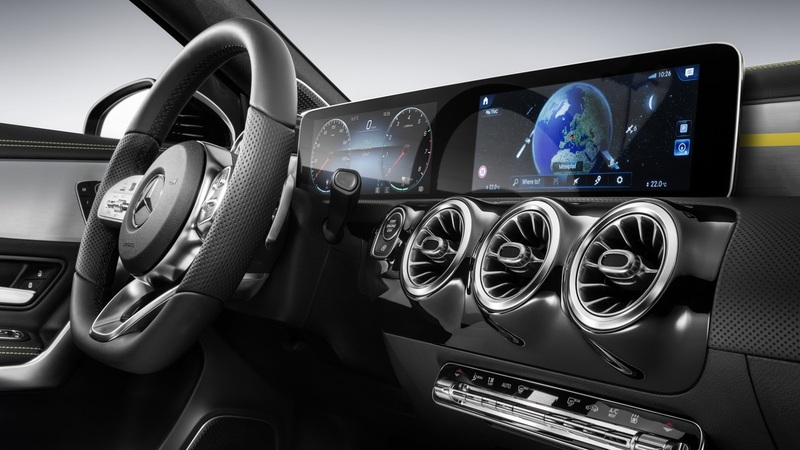 From the images shared with the next-gen A-Class’ interior, we already know that base grades will get two 7-inch displays, whereas better-equipped models will come with two 10.25-inch or one 7-inch and one 10.25-inch screens. These replace the traditional instrument panel on one side, and control the infotainment, air-conditioning, and other functions on the other. 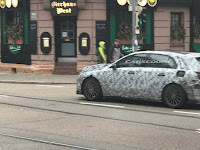 As the Germans have already announced, the new MBUX will be found on the brand’s upcoming compact models, which include not only the new A-Class hatch, B-Class MPV, CLA four-door coupe, CLA Shooting Brake, and GLA, but also the A-Class sedan and yet another crossover, probably dubbed GLB. 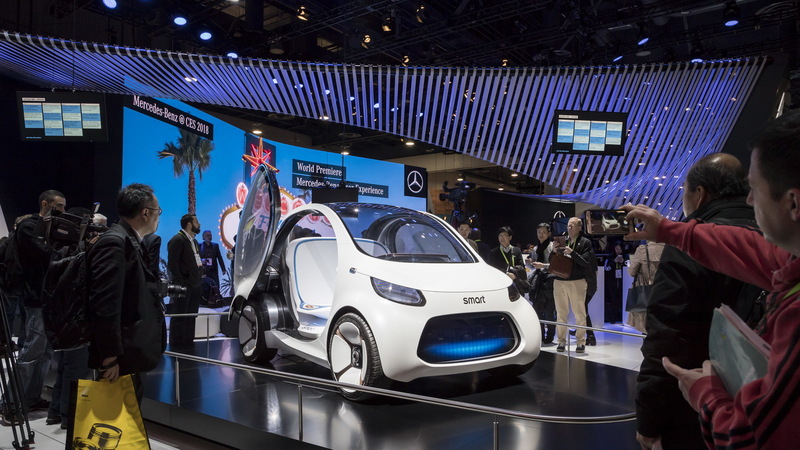 Set to be displayed alongside the infotainment system at CES 2018 will be the Concept EQA and Smart Vision EQ ForTwo, in addition to the impressive Mercedes-AMG Project One. 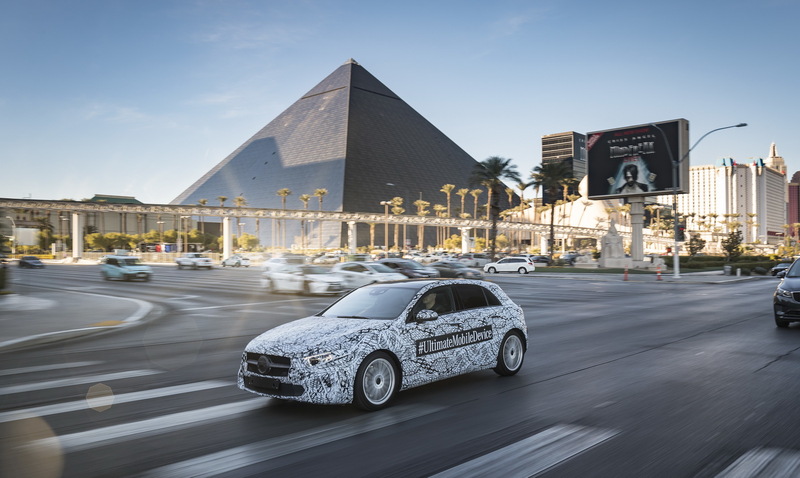 The automaker will also demonstrate their automated and autonomous driving technology with test drives in Las Vegas. 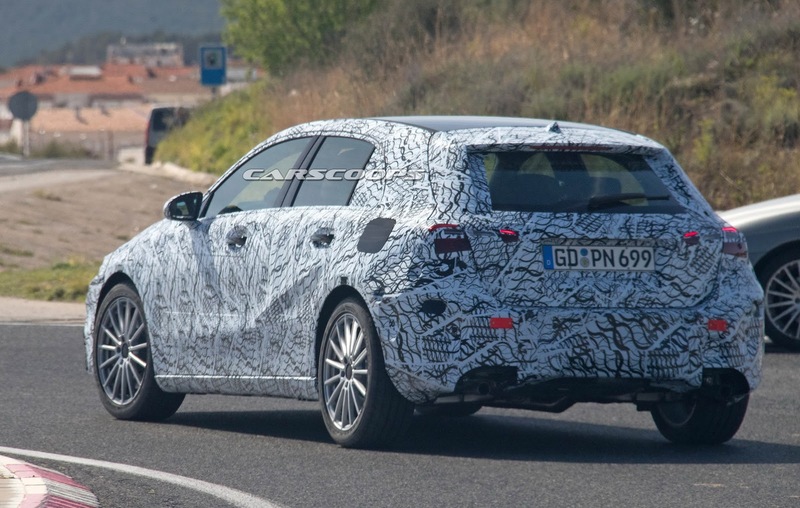 Following the release of images showing off the interior of the 2018 Mercedes-Benz A-Class, keen-eyed observers online have noticed something we initially didn’t: one of the A-Class models pictured appears to be a hybrid. 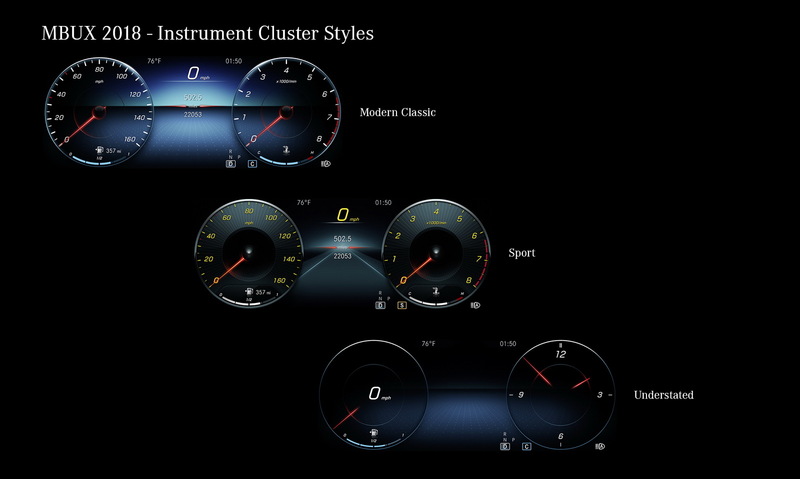 If you look beyond the eye-catching three-spoke steering wheel, air vents and ambient lighting, you may notice an interesting read-out on the digital instrument cluster. 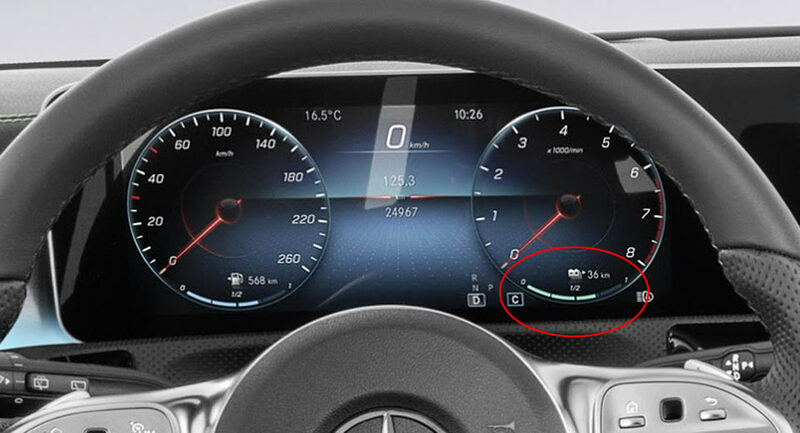 In the same dial as the rev counter, there is a small gauge with a battery symbol and a display stating the range and how much power remains in the battery. 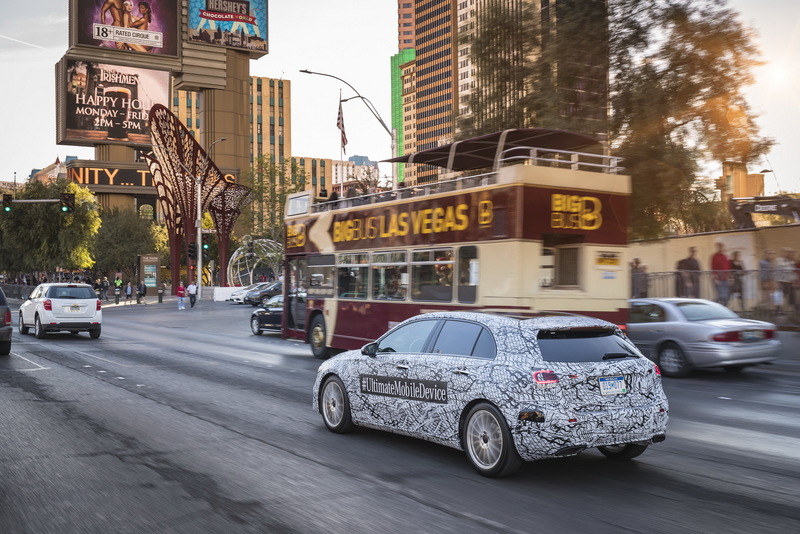 In the press photos published by Mercedes-Benz, the range sits at 36 km but approximately 25 per cent of the battery’s power appears to have been drained. With the battery fully-charged, that should result in a 50 km (31 mile) range. 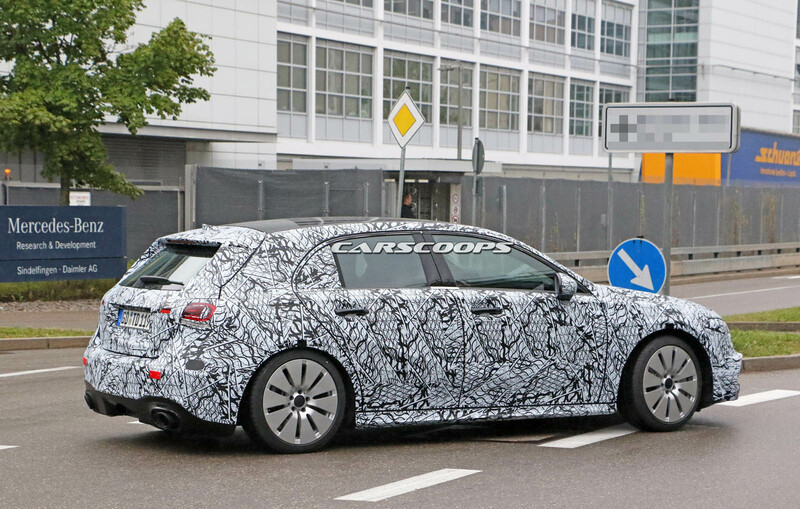 We’ve known for quite some time that the next-generation A-Class would get some form of electrification, most likely through a 48V electrical system. 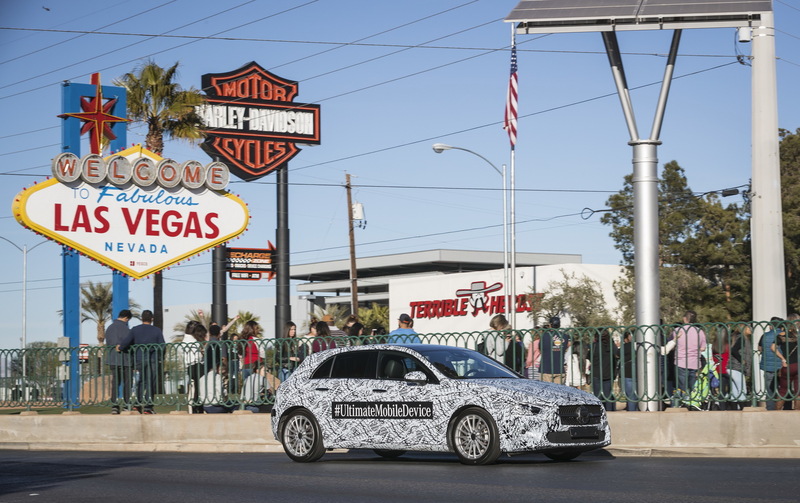 However, up until now, it hasn’t been known if the plug-in hybrid model would offer all-electric driving, yet these images seem to suggest it will. For a vehicle of this sort, a 50-km range is quite impressive. 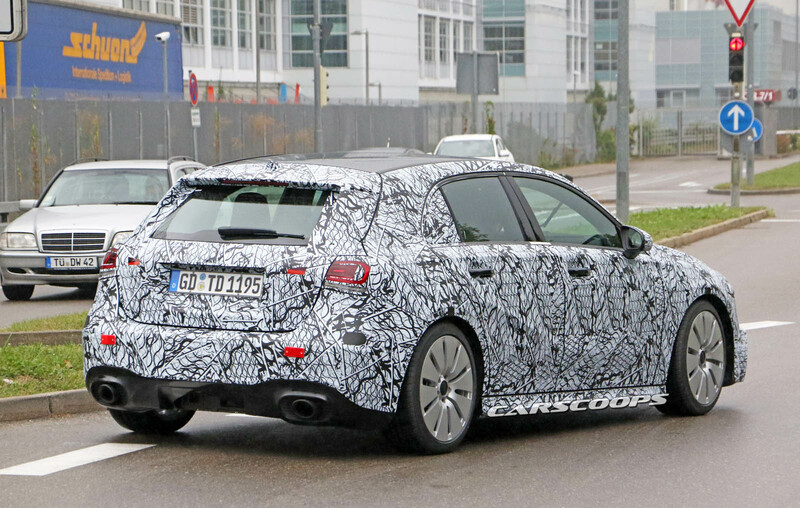 Expect to see the all-new A-Class hatchback premiere at March’s Geneva Motor Show. 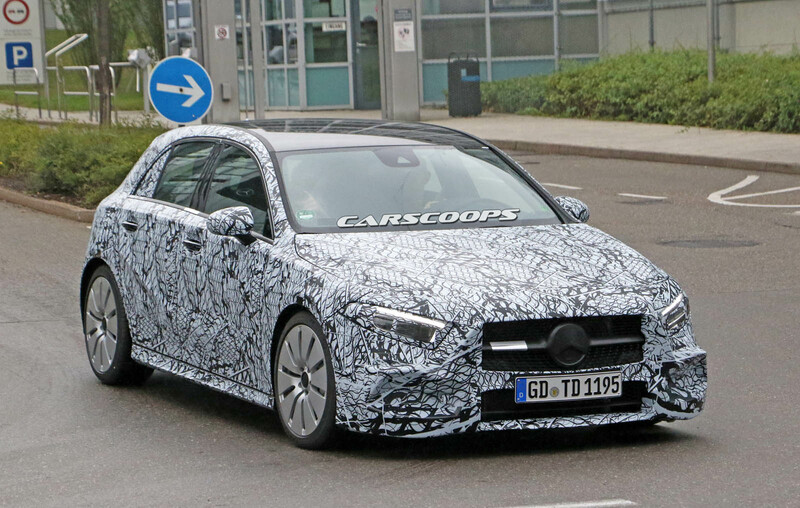 Shortly after, Mercedes-Benz will introduce the A-Class Sedan in regular and long-wheelbase guises. 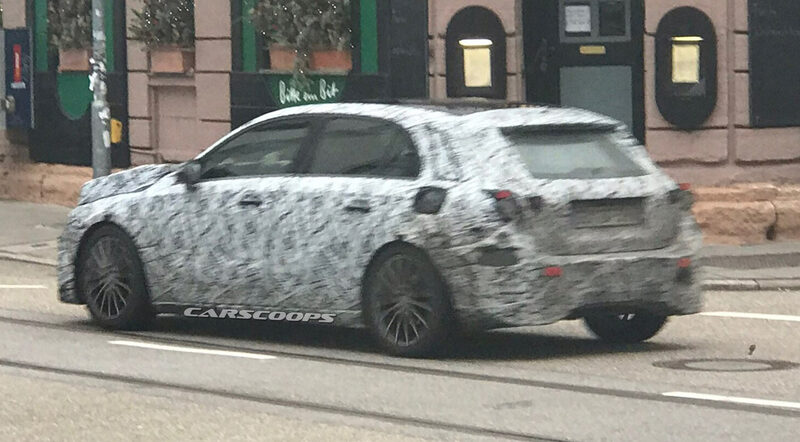 Rumors of an entry-level Mercedes-AMG A-Class have been floating around for awhile and spy photographers have even snapped prototypes on multiple occasions. 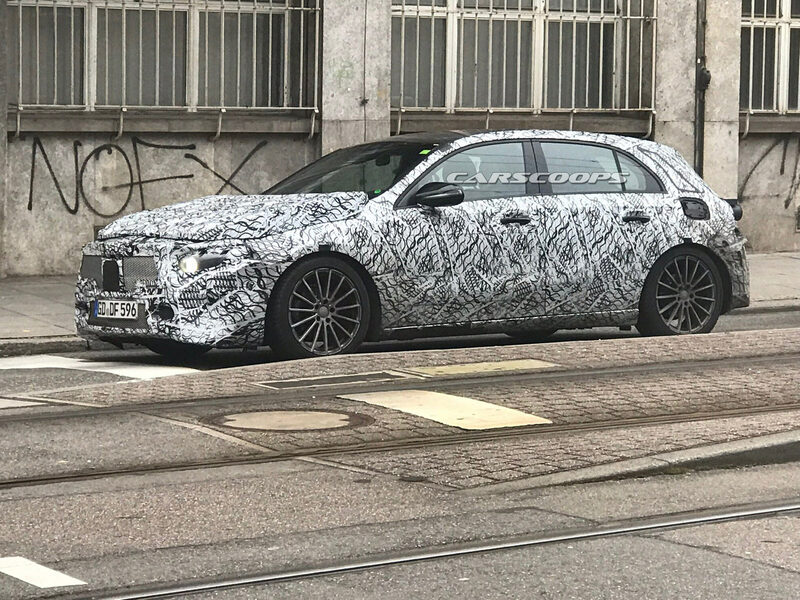 It was initially believed the car would be called the A40 but AMG CEO Tobias Moers recently told Top Gear it will wear the A35 moniker. 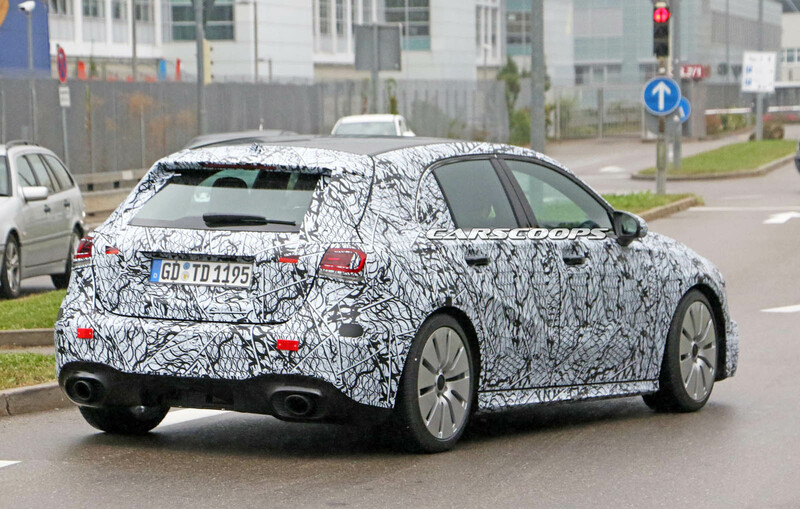 Set to slot beneath the A45, the A35 will be a hot-hatch that is designed to battle the Audi S3 and Volkswagen Golf R. As Moers explained, “It’ll be the A45’s little brother” and it will have a “low” price point. Moers declined to say what trade offs customers can expect but noted the lower price means they can’t do everything to the A35 that they’ll do to the A45. 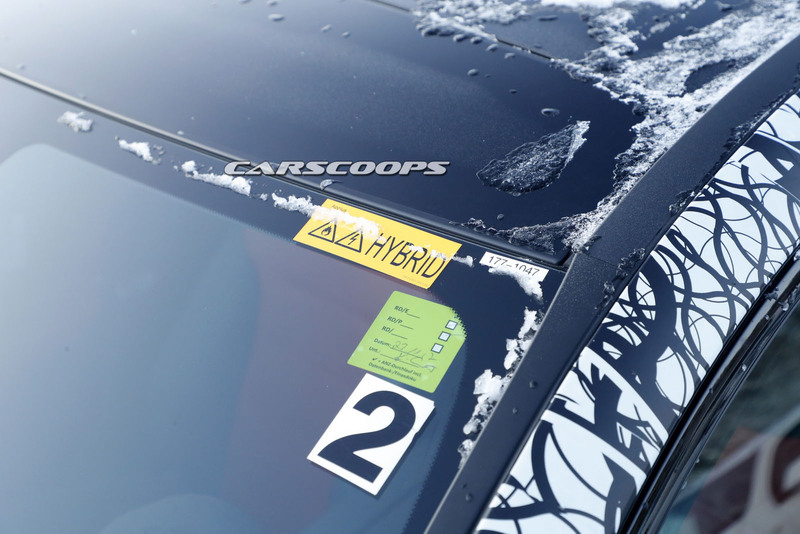 This undoubtedly means we can expect a less powerful engine and less extreme performance modifications. 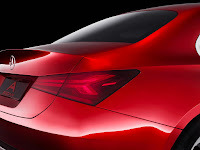 The car will reportedly be powered by a turbocharged 2.0-liter four-cylinder engine and previous reports have suggested it could develop around 340 hp (253 kW). That’s an impressive figure but it still leaves plenty of room for the A45 which is slated to have more than 400 hp (298 kW). 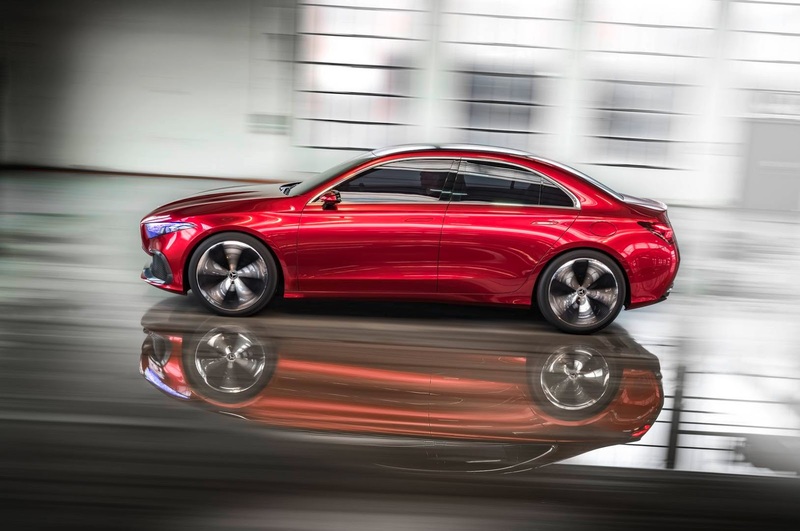 Mercedes-Benz is whetting our appetite for the new, fourth generation A-Class with the first official photos of the compact car’s cabin, released at an exclusive event in Germany, Wednesday night. 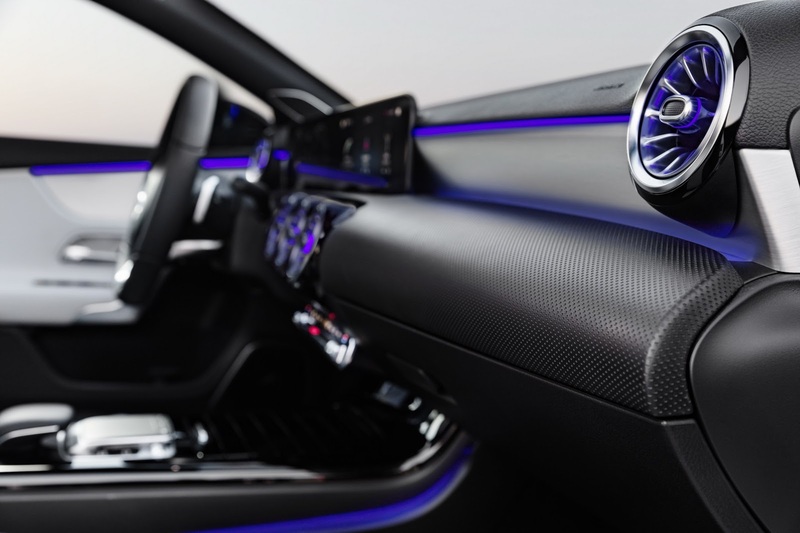 If the interior design looks familiar, that’s because the new A-Class draws heavily from the latest E-Class and to a lesser extent, the S-Class. 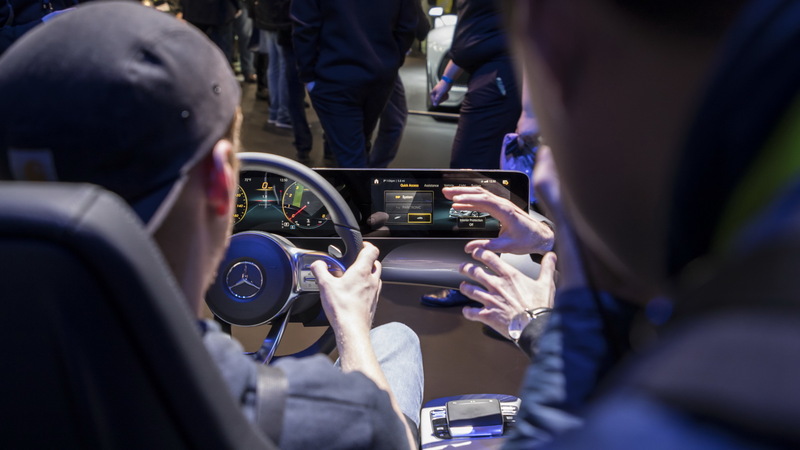 It borrows the former’s dashboard layout with two high-tech, free-standing flat screens, five turbine-look air vents and simplified center console, and the S-Class’ multifunctional steering wheel. 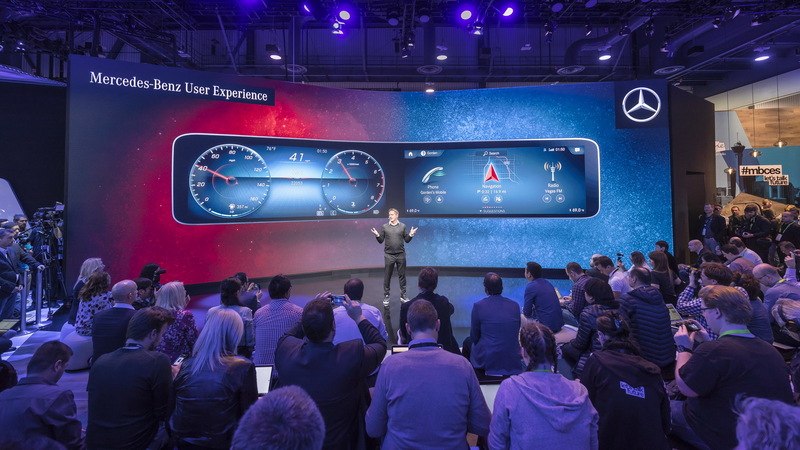 The highlight, of course, is the two screens that seem to be floating on top of the dashboard that’s divided by a ‘trench’. They will be available in three versions, depending on the model and equipment chosen. Base trims get two 7-inch (17.78 cm) screens, while higher level models either one 7-inch and one 10.25-inch (26 cm) or two 10.25-inch displays. The latter two variants use bonded glass technology for the screens. 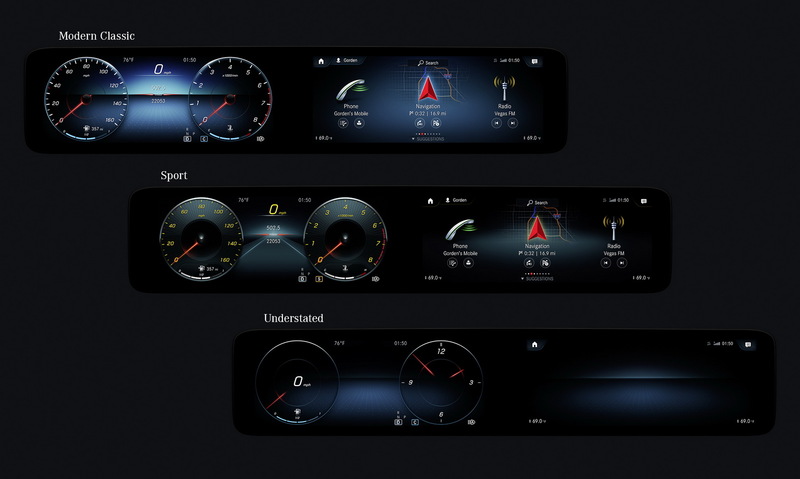 The first screen replaces the traditional instrument panel while the other is used to display, and in conjunction to the buttons on the center console and the touchpad, control the air-conditioning and infotainment systems. 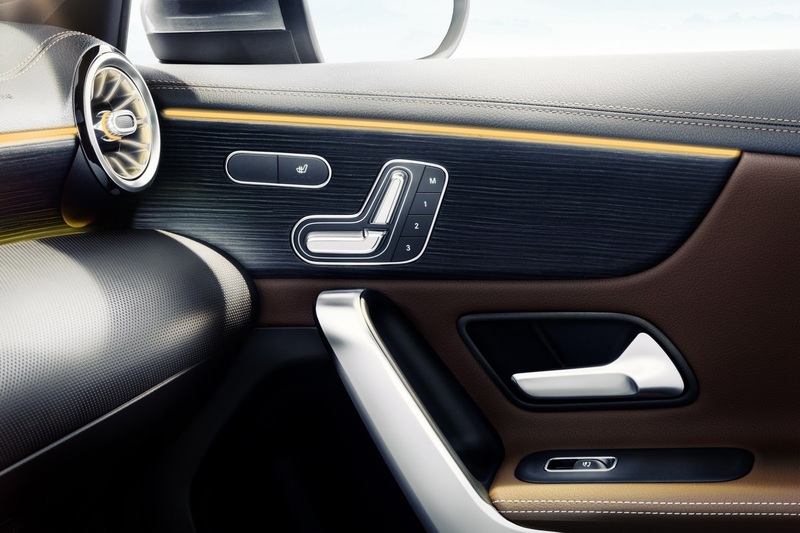 The same interior will be used on all A-Class derivatives. 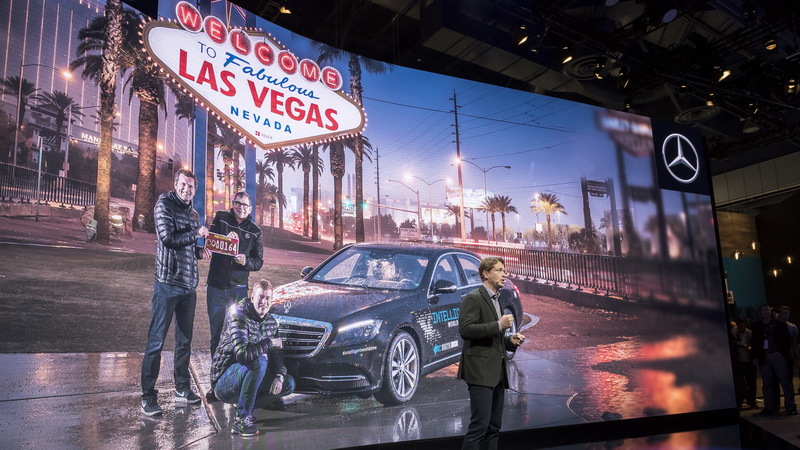 If you haven’t figured it out already, one of Mercedes’ main goals was to nudge the A-Class closer to its more luxurious siblings by offering buyers of its entry model the sense that they’re getting the same treats, but in a smaller, and more city-friendly, package. On top of that, Benz says that the new A-Class will be more spacious for both passengers and their luggage. In particular, there’s more shoulder-room (front +9 mm, rear +22 mm), elbow-room (front +35 mm, rear +36 mm) and headroom (front +7 mm, rear +8 mm), while boot space has increased by 29 liters to 370 liters. Furthermore, thanks to the two-section rear lights, the loading aperture is 200mm wider than before, and the luggage compartment floor is 115 mm longer. 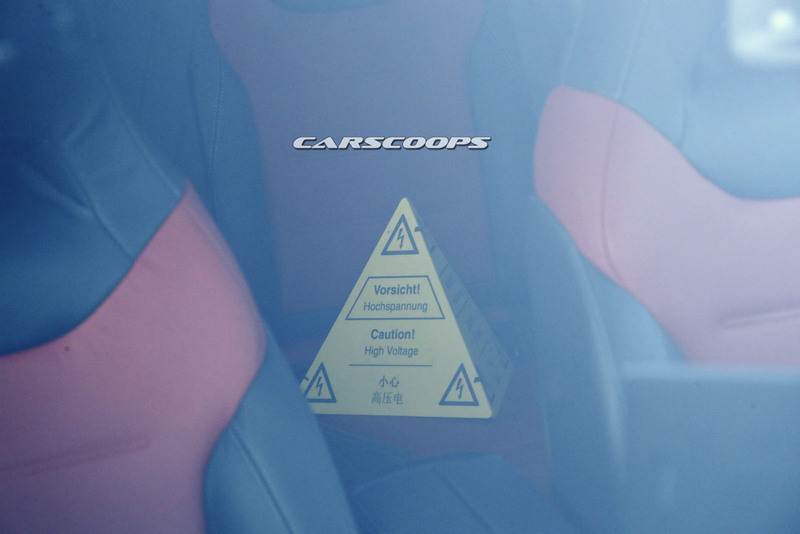 The rear seats have a 60/40 split as standard, while a rear seat backrest with a 40/20/40 split will be available. Passengers will have more and bigger storage units inside, with the door panels now having enough space to hold 1.5-liter bottles or A4-sized magazines. 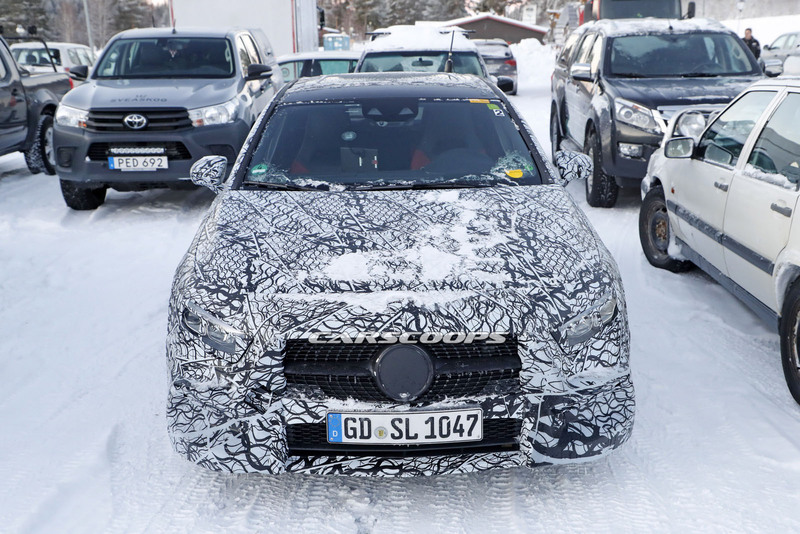 Mercedes also stated that the A-Class will offer much better visibility as the obscured area has been reduced by 10 percent compared to the current model. “This was principally achieved by specifically slimming down the A, B and C-pillars and their claddings. 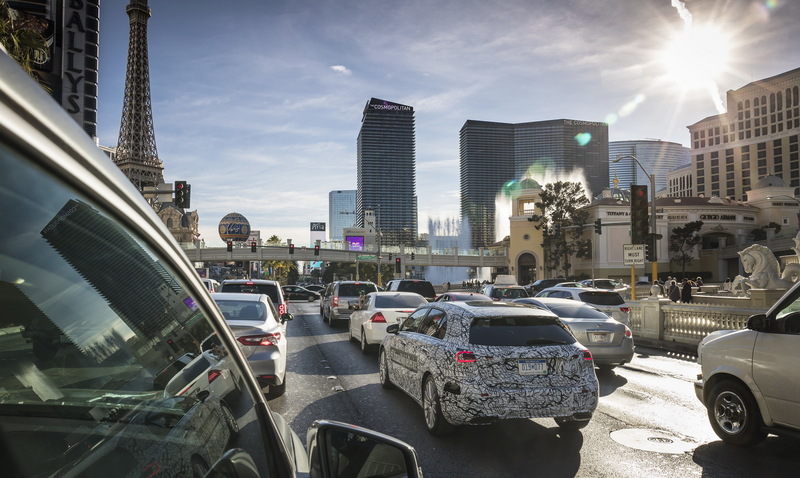 Improved visibility is also assured by positioning the exterior mirrors on the door outer panel rather than in the mirror triangle,” said the automaker. 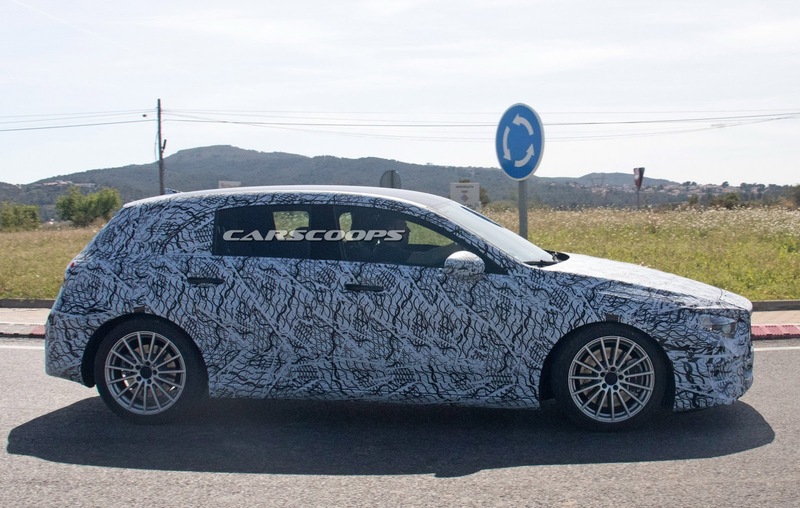 The arrival of the five-door A-Class hatchback is scheduled for next year’s Geneva Motor Show in March, with European sales starting in the summer. 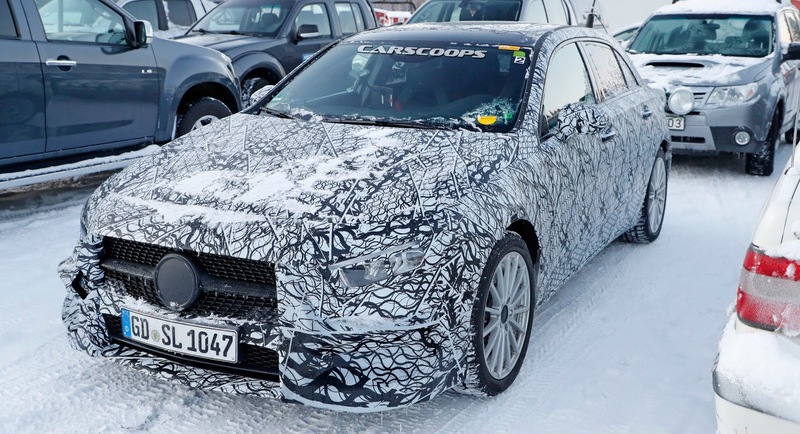 It will be followed by a more conservative A-Class Sedan in both regular and long-wheelbase (likely for China) forms in the same year, while in 2019, we’ll see the replacements for the GLA crossover and the CLA in four-door sedan and possibly, shooting brake (estate) body styles. 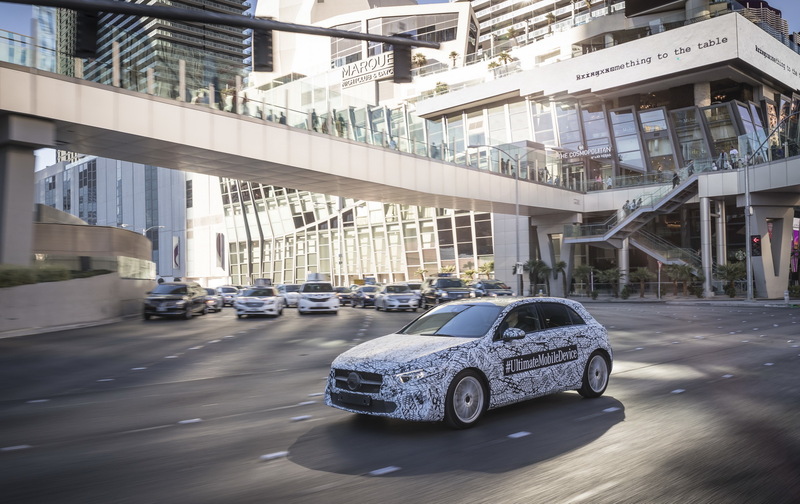 All models will share the same underpinnings and powertrains that will include diesel, gasoline and 48V plug-in petrol-electric hybrid units. 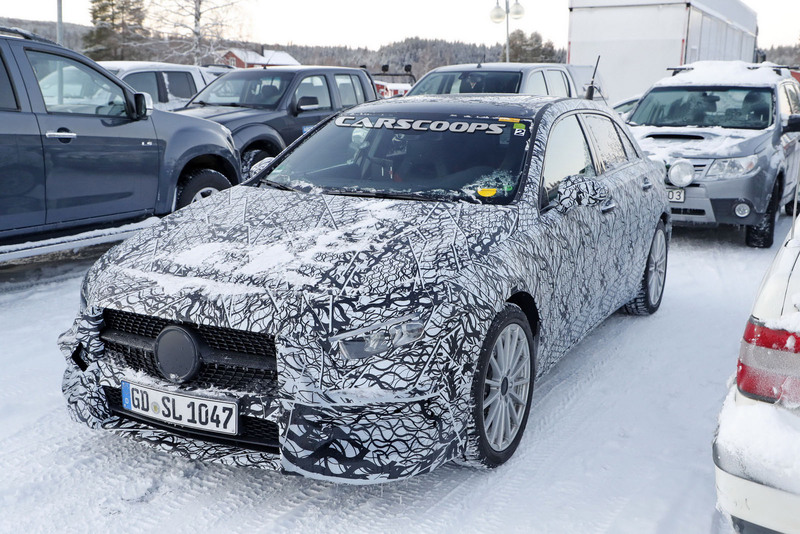 On the performance front, we’ll see a new A40 AMG model with a de-tuned 2.0-liter four producing around 300 horses, and a full-force A45 AMG with a newly developed 2.0L four banger churning out over 400 horses. 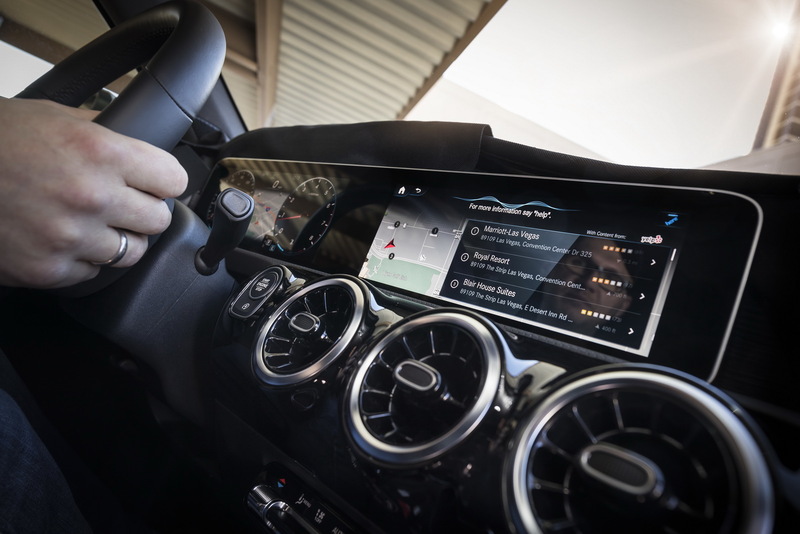 The next-generation Mercedes-Benz G-Class won’t be the only new three-pointed star model to utilize a fully-digital gauge cluster. 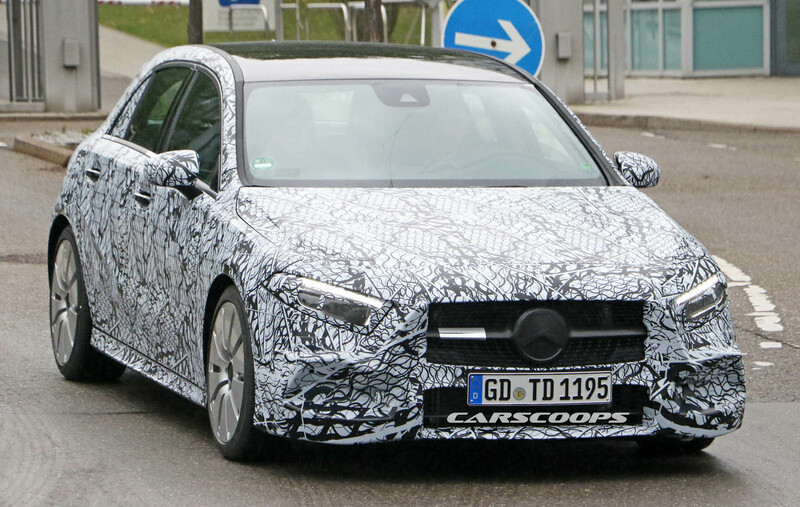 It will be joined by the all-new A-Class. 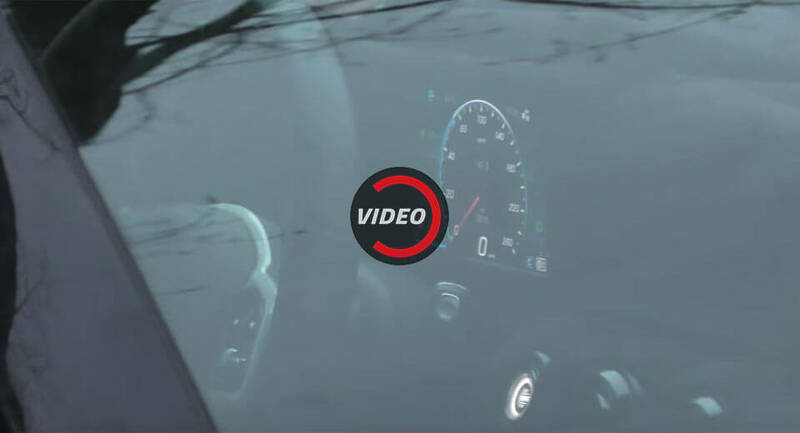 An eagle-eyed spy photographer came across an A-Class prototype in traffic and was able to capture clear footage of its gauge cluster that shows a digital speedometer going up to 260 km/h. 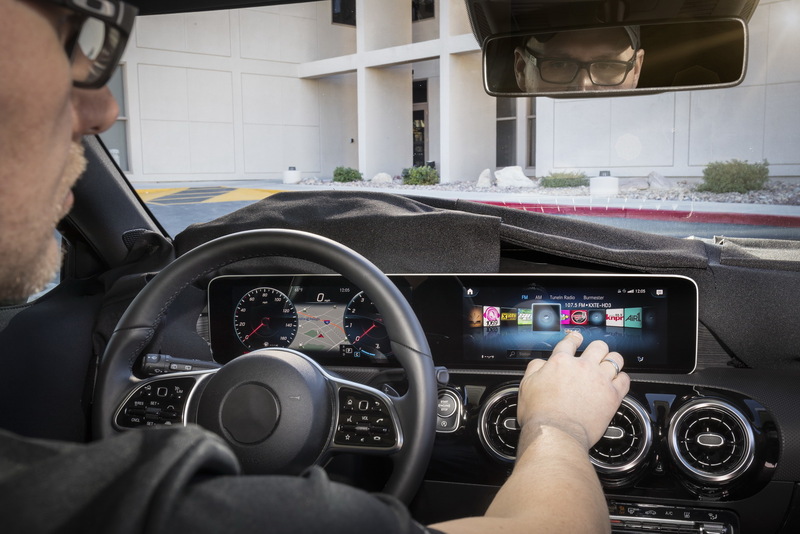 As with a separate prototype spied last month, the screen directly in front of the steering wheel appears significantly smaller than the 12.3-inch unit found in other Mercedes models. 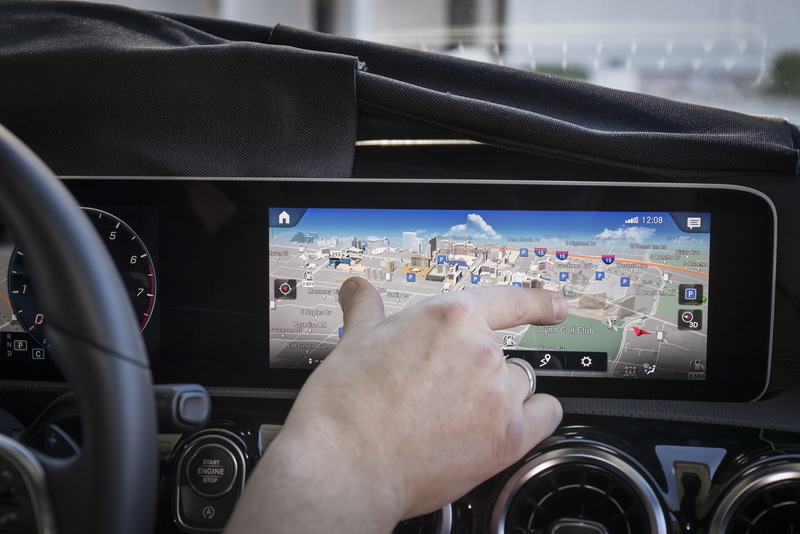 In fact, it could be about half the size and appears to be joined by a second screen where infotainment and navigation functions will be housed. 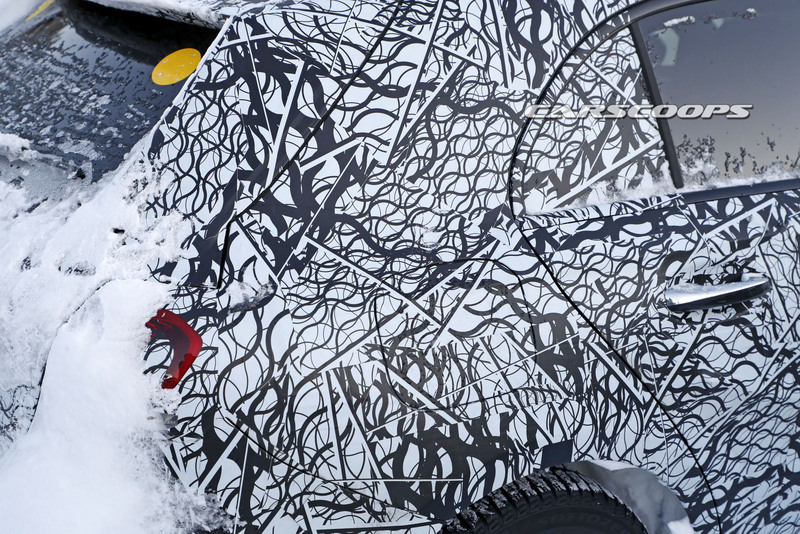 Beyond the revised interior, the new A-Class will adopt a different exterior closely inspired by the Concept A Sedan. As such, changes will include new headlights, taillights, and tweaked bumpers. Non-AMG versions are expected to be available with a host of three-cylinder and four-cylinder units. Performance-hungry customers will be left to choose between a 340 hp A40 AMG and the new A45 AMG with in excess of 400 hp.